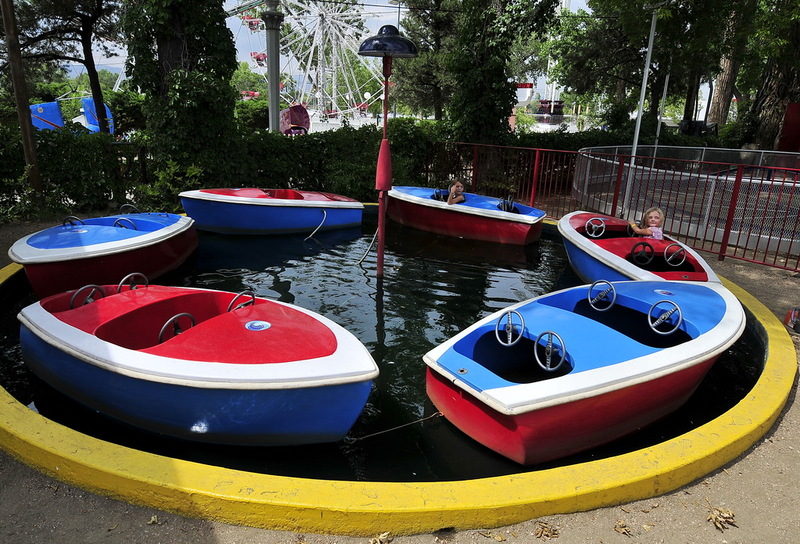 The inaugural Alumafandango event was held last week at Lakeside Amusement Park near Denver, CO. 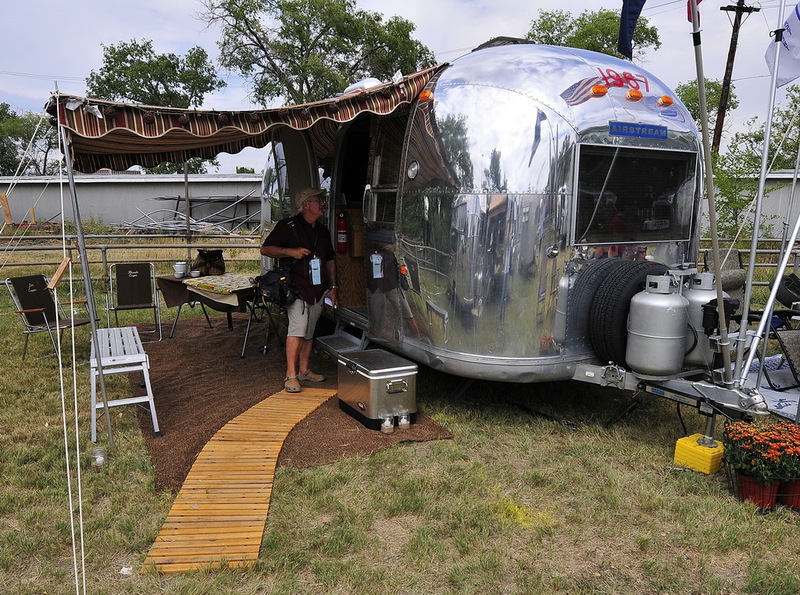 The event drew approximately 80 Airstreams both new and vintage models from across the county. 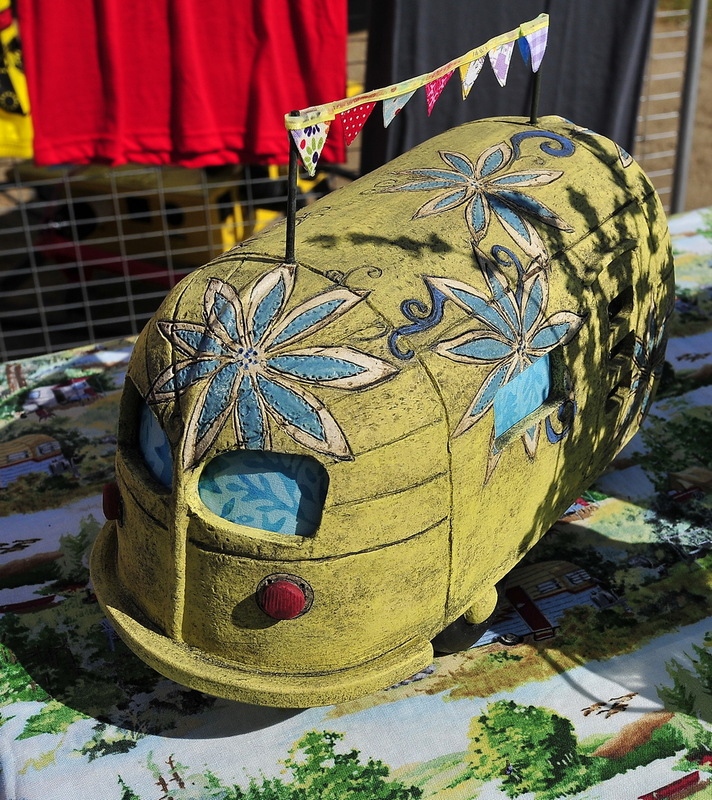 We met so many wonderful people last week at Alumafandango! 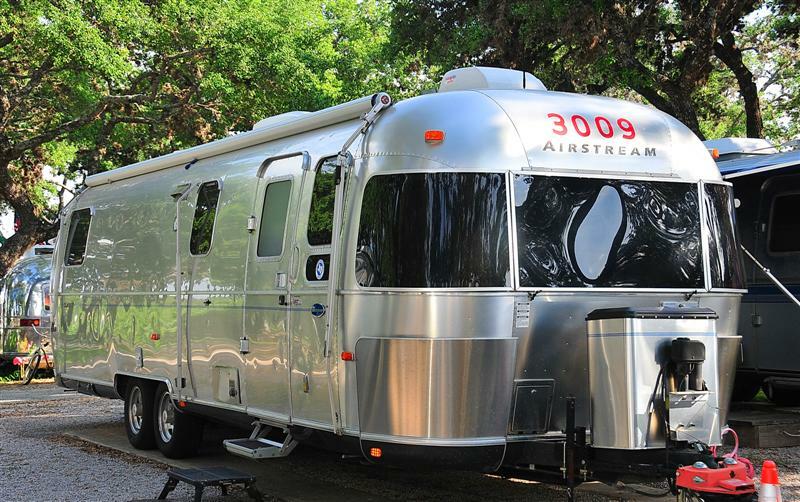 As I mentioned in my post yesterday, Airstreamers truly are a great bunch of people. 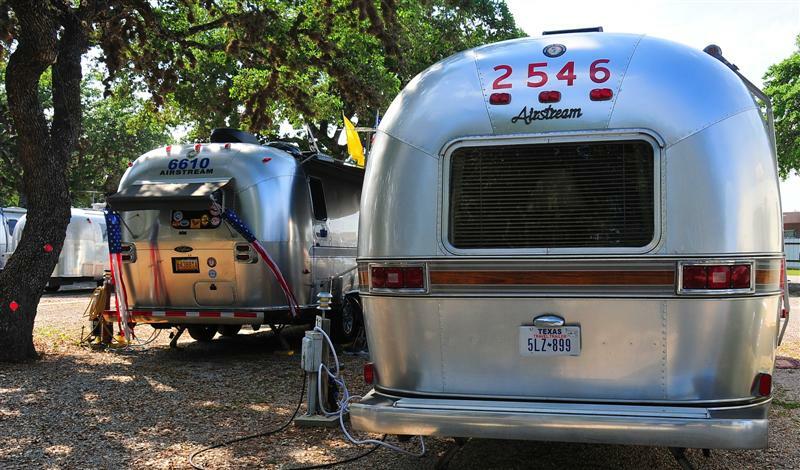 No one is a stranger in the Airstream community and these rallies really prove that. Laura D. invited Hub’s and me to join her and a very fun group at “The Breezeway” for a cocktail and conversation. 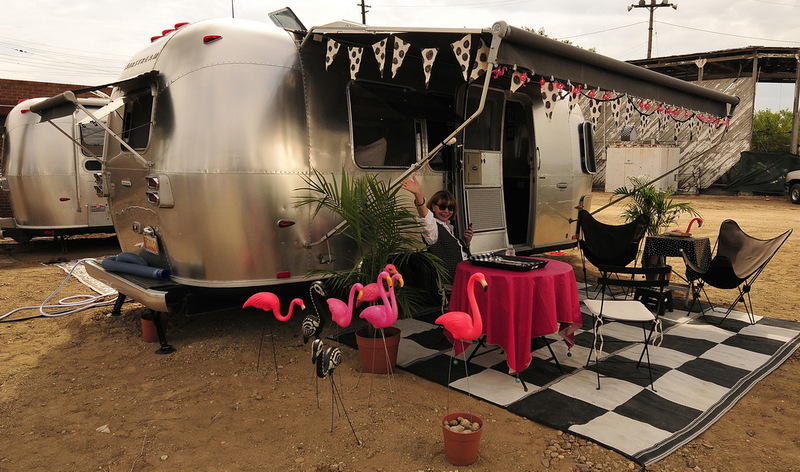 Loved this gathering place in-between two Airstreams where we met new friends and fellow bloggers: Laura and Kevin from Riveted, Tiffani and Deke from Weaselmouth and Kyle from Where is Kyle Now? Another blogger who isn’t pictured here is Dan and Marlene from Mali Mish. 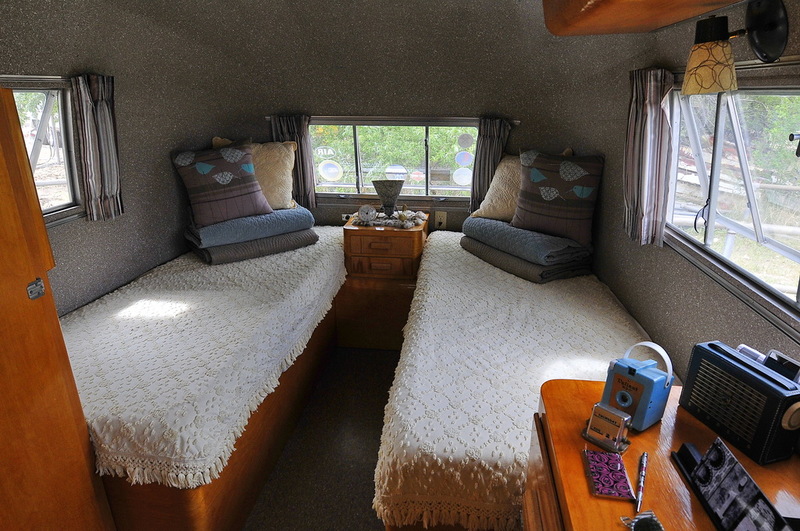 All very fun blogs about travel, adventures, gadgets and more all written from their Airstreams. Worth a peek!! Shari and Rob D’s immaculate and darling “Birdie” was the highlight of one of my favorite Alumafandango events: “Open House”! 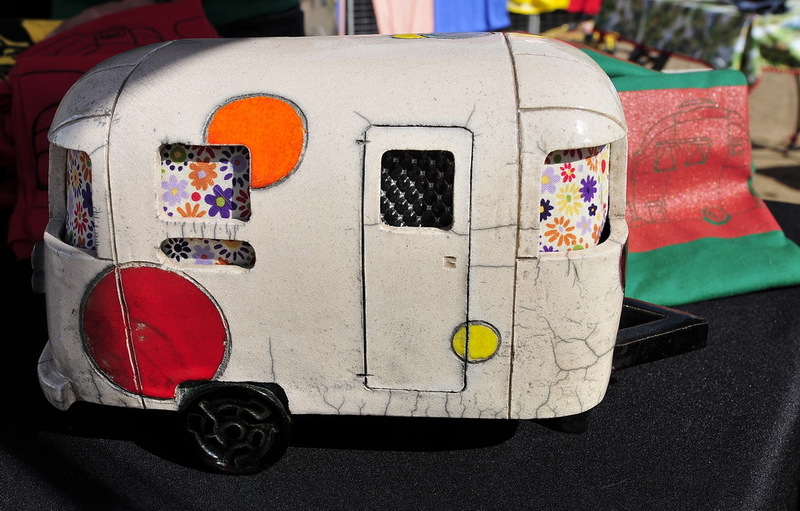 Streamers open the doors to their mobile homes for all to step inside, ask lots of questions and take many photos. 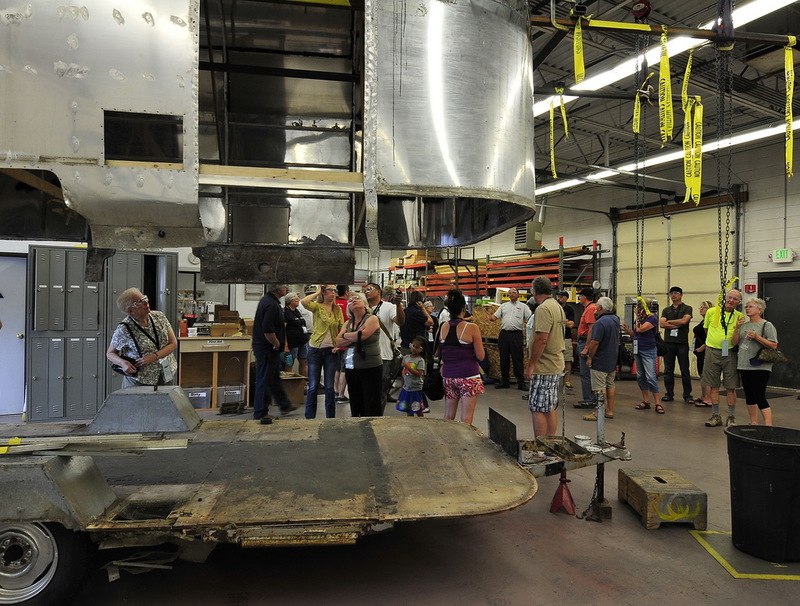 Thanks to everyone who participated in the open house. My favorite event for sure!! 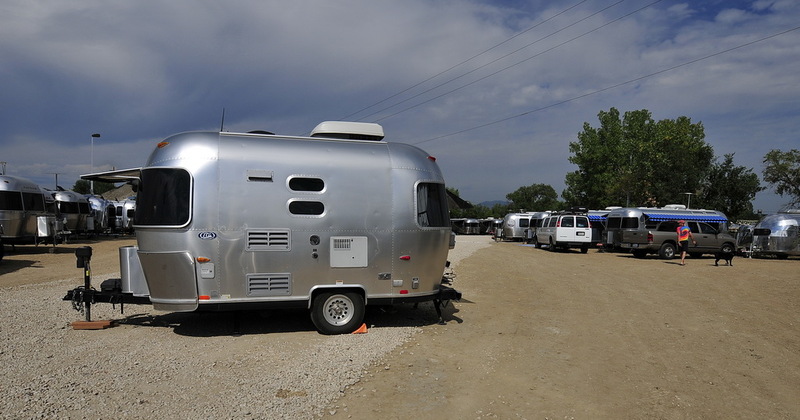 Various other “Open House” Airstreams at Alumafandango………………….. 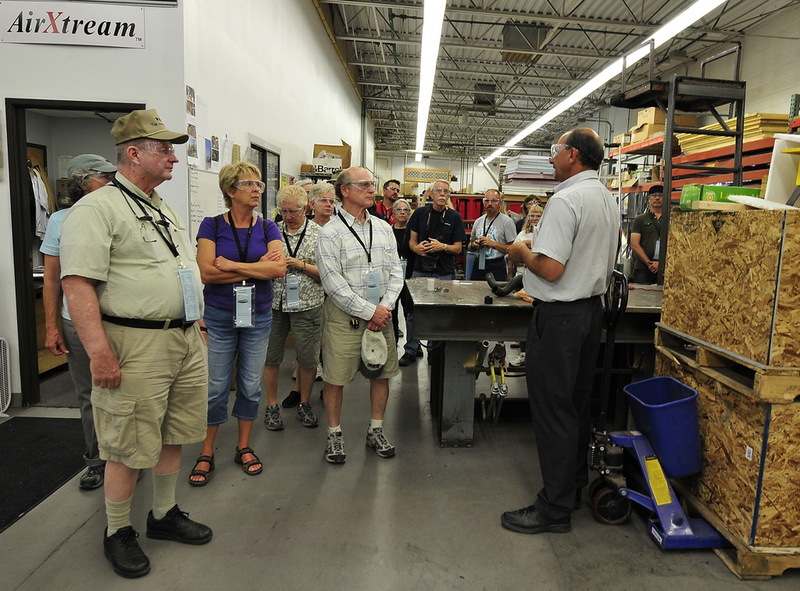 I enjoyed a roundtable seminar lead by Rich Luhr from Man In The Maze on Blogging. 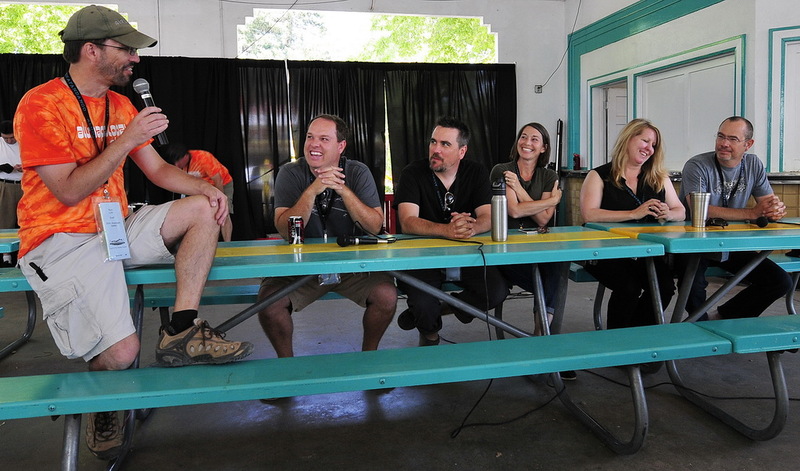 Leading the discussion was Where is Kyle Now?, Weaselmouth and Riveted. 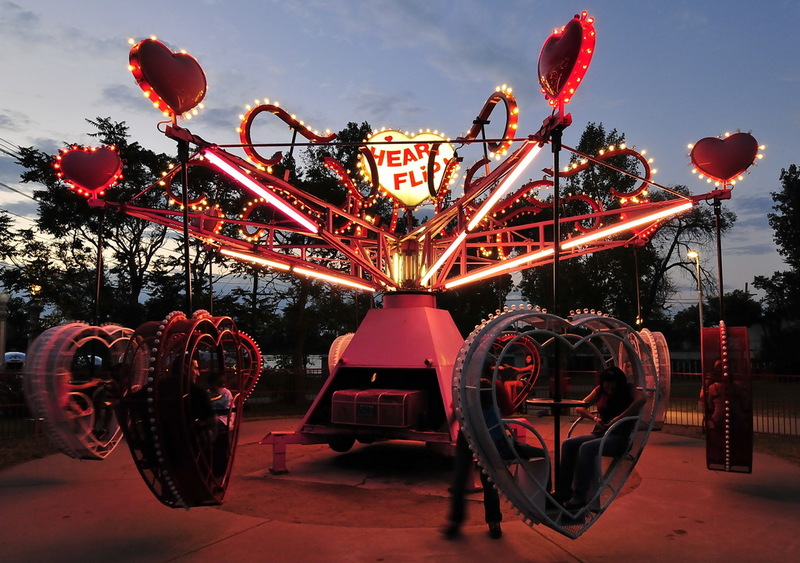 Friday evening was the very anticipated “Ride Night” where Alumafandango participants had unlimited classic amusement park ride access. I believe the “Kid” was brought out of many ‘Streamers!! 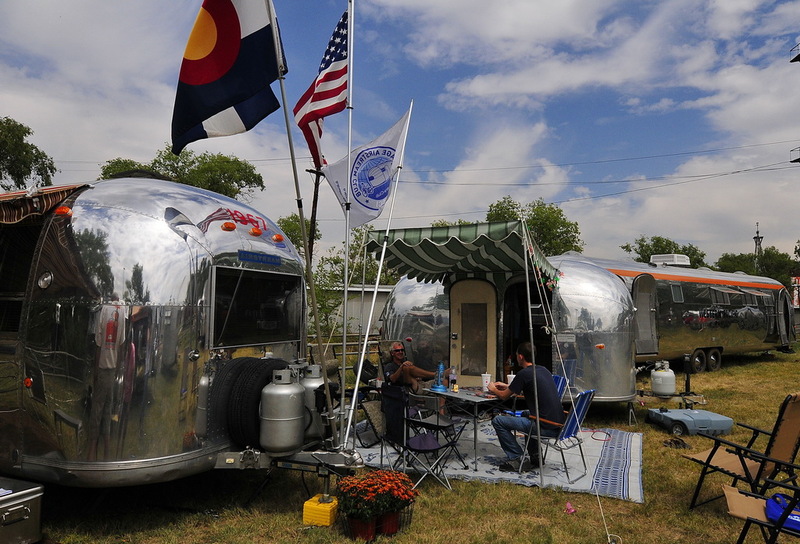 Last week, we attended an amazing Airstream rally at Lakeside Amusement Park near Denver, Colorado called Alumafandango. 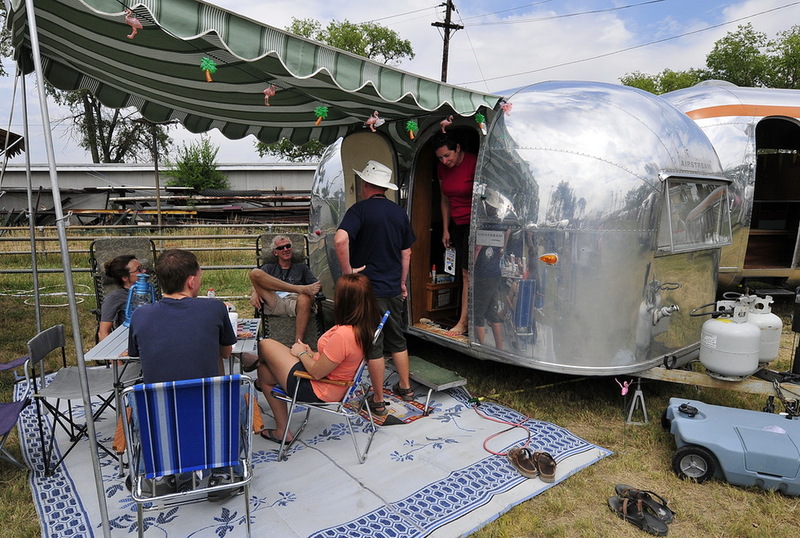 Sponsored by Airstream Life Magazine and Timeless Travel Trailers, folks arrived in their vintage and new Airstreams traveling from across the country to attend the festivities. 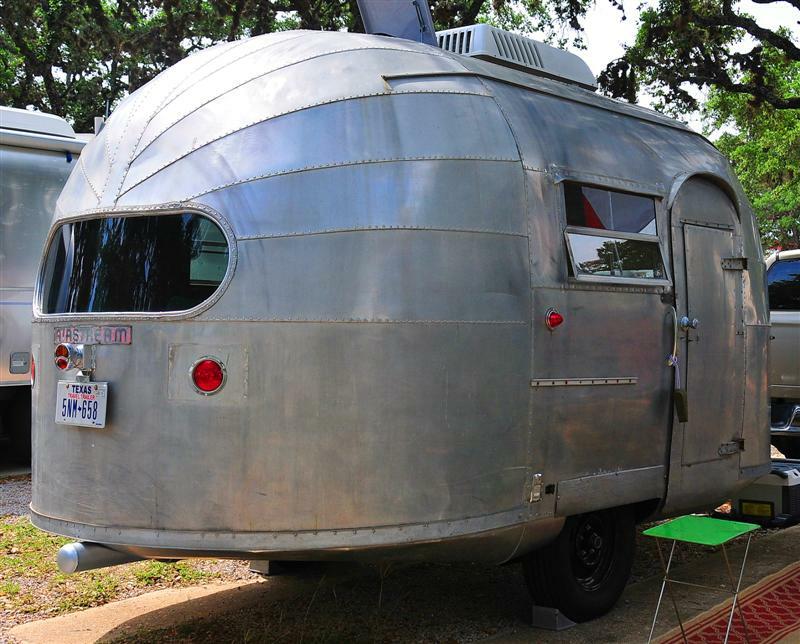 For all my non-Airstream followers, rallies are a really big deal in the Airstream community. 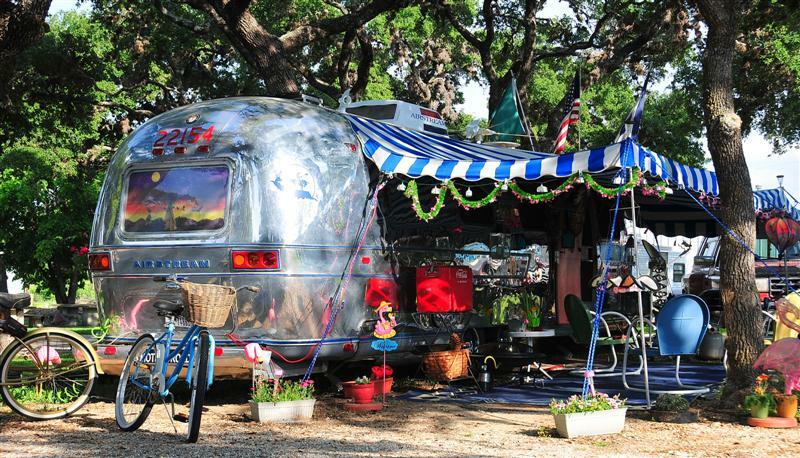 All over the US, local Airstream clubs host smaller, local rallies throughout the year. 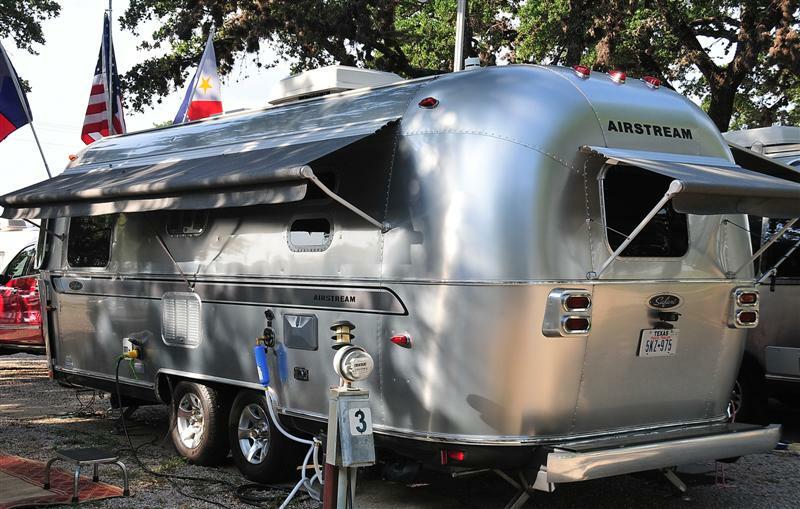 The first rally I attended and posted about here in Texas was a great introduction into the Airstream world. But, Alumafandango is more of a National rally. Five full days of fun, sharing, seminars, dinners, contests and more ~ bringing old friends together and almost all participants will drive away having made many new friends alike. 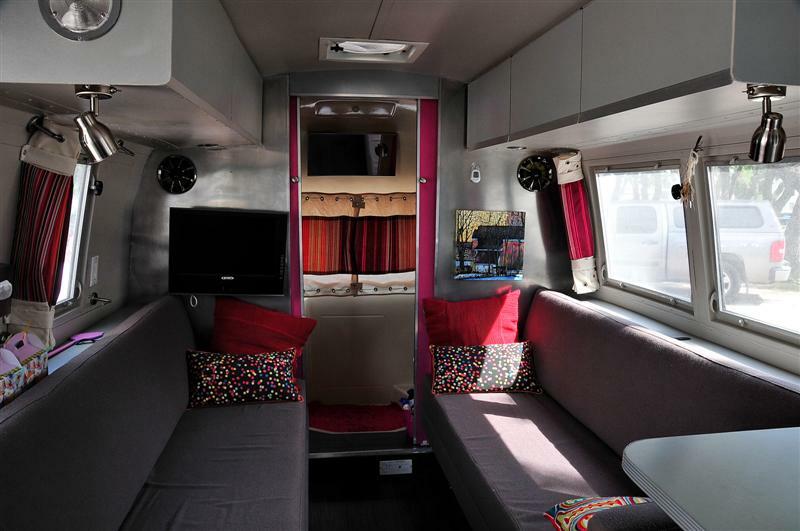 I must admit that I have never met a nicer group of people than Airstreamers. 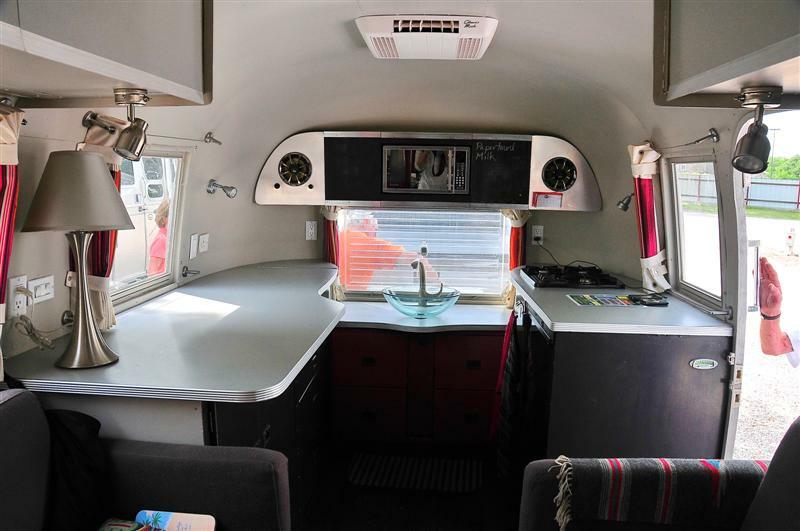 They all share my wanderlust for travel, they are so willing to share information and answer all sorts of “wanna be” questions and then they open their Airstream homes and invite you in to take a peek. 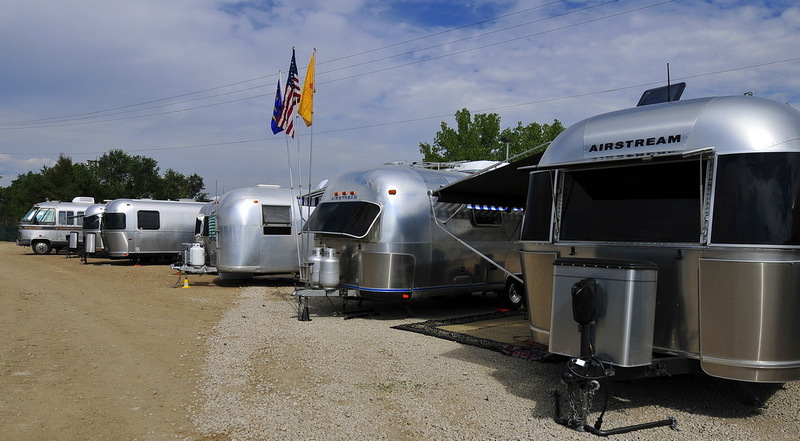 Airstreamers like to have fun and fun they had last week in Denver! 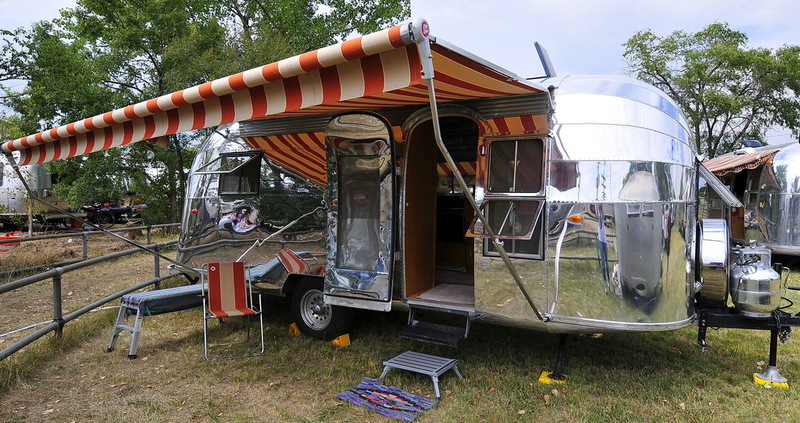 Dale “Pee Wee” Schwamborn, Wally Byam’s first cousin once removed, hosted an interesting seminar on Wally’s history and contribution to Airstreaming! 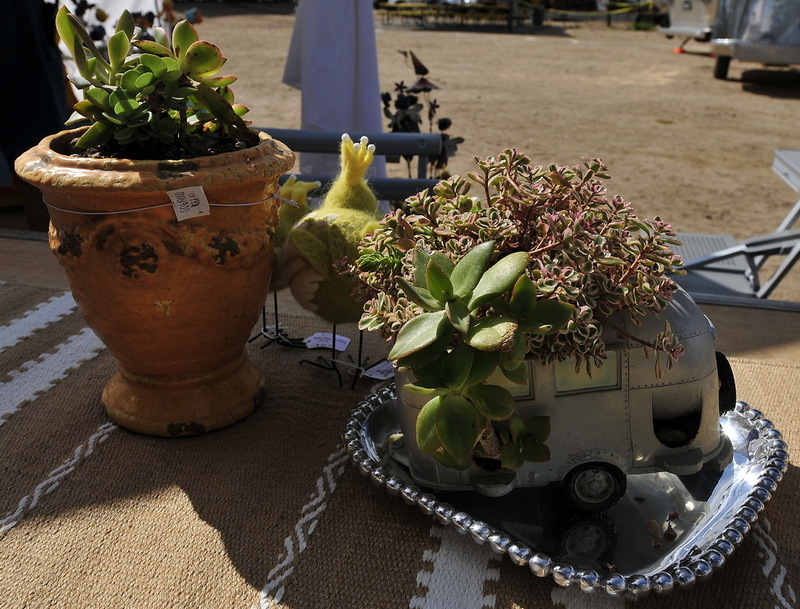 Yvonne Savage of Garden Party lead a seminar about “Landscaping Your Airstream”. 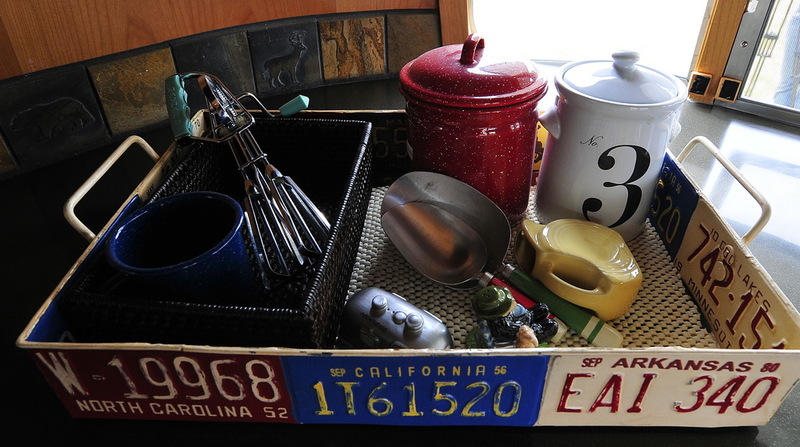 Lots of fun items for sale to Glamp-up your Glamper. 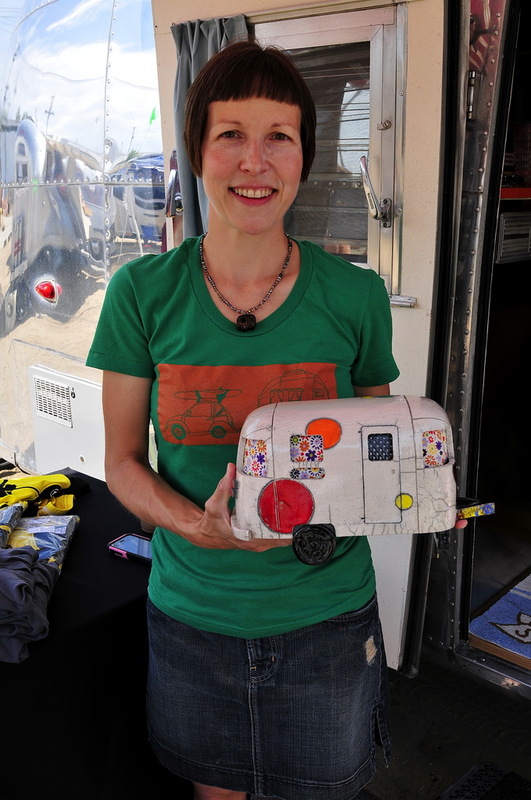 Dusty Dog Studio ceramic artist and owner, Corrine Vegter, showcased many of her hand-made, one-of-a-kind Airstream ceramics along with super cool T-shirts and other fun ‘Streaming products. 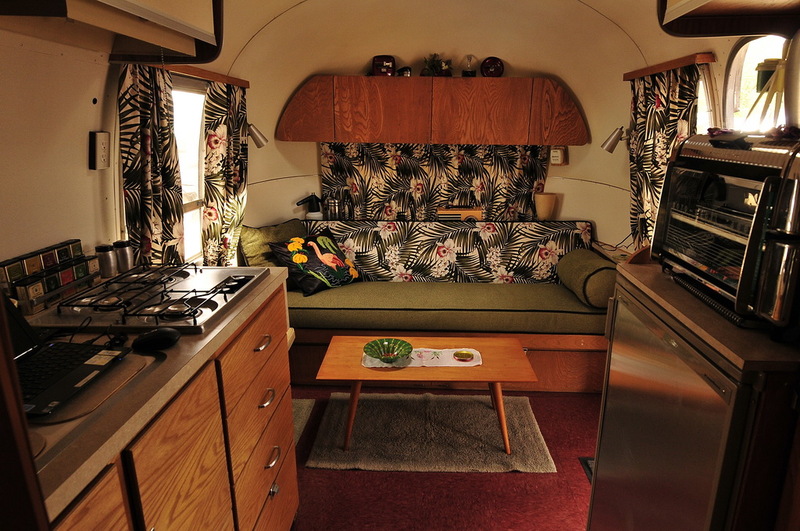 I fell in love with Judith and Tim S’s ~ 23′ Airstream. 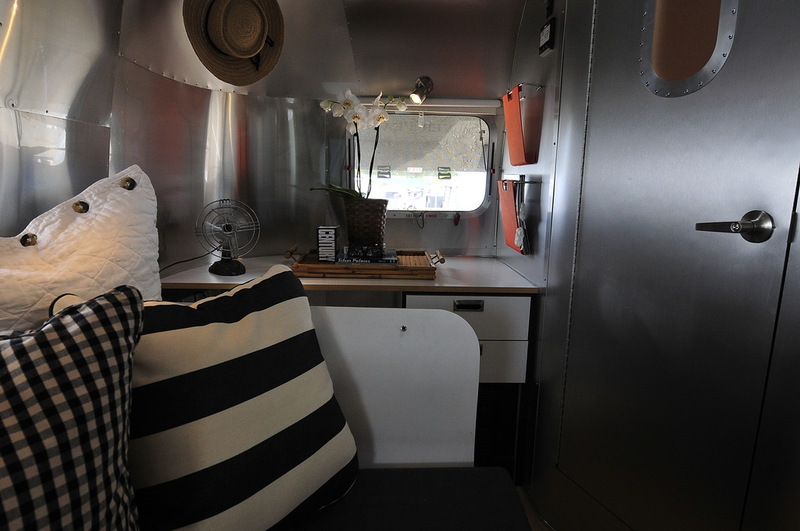 Judith is an interior designer from Santa Fe and her Airstream is divine. 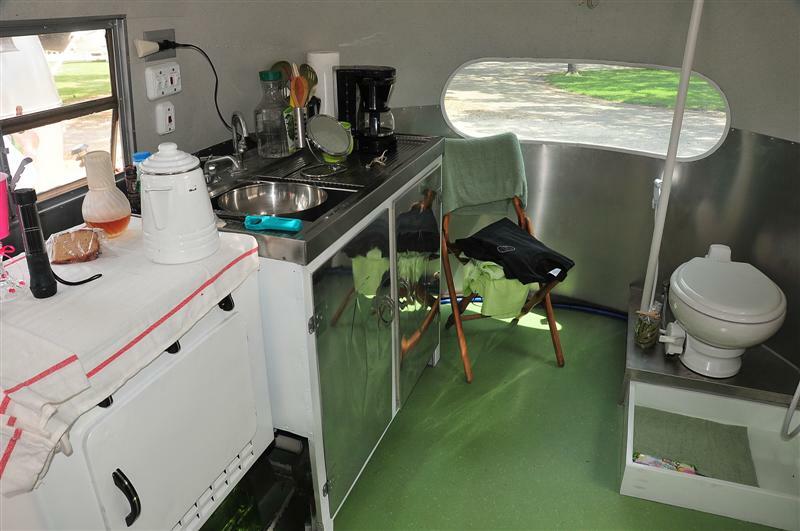 You can see some of her amazing work at Studio Judith (the 4th photo down was taken by Judith of her Airstream interior seating area). 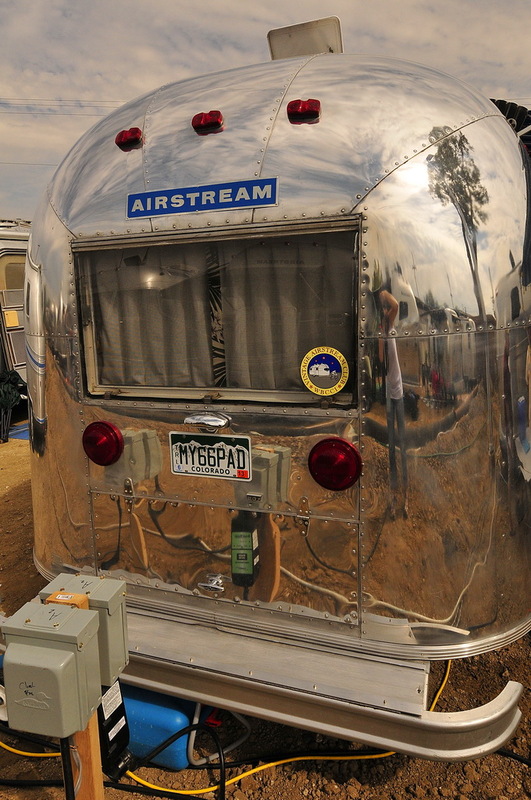 Various other Airstream sights at Alumafandango. 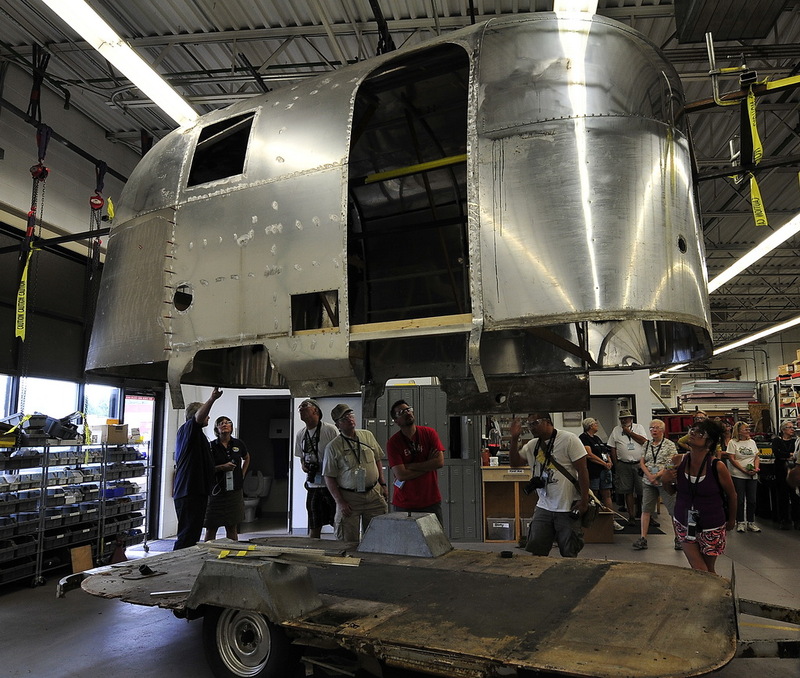 Check back with me tomorrow for Part 2, more photos and more Airstream peeps to introduce you to! 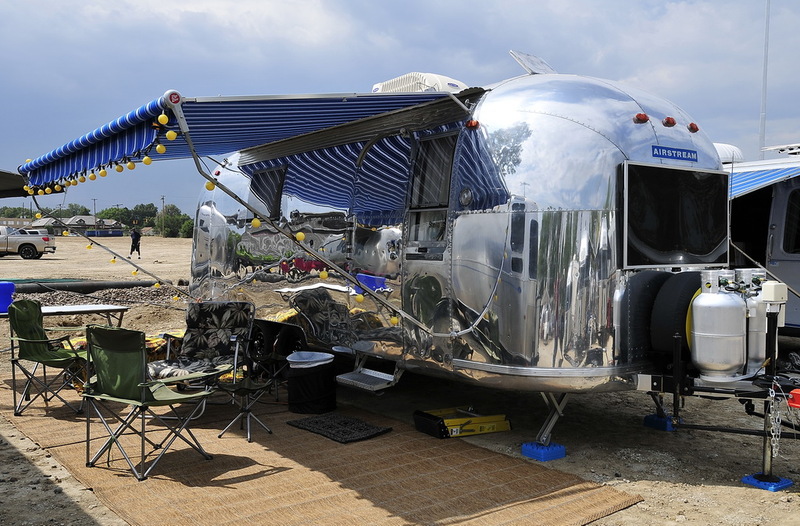 Many Airstreamers out there are familiar with the larger than life annual event, Alumapalooza in Jackson Center, OH, home of the Airstream factory. 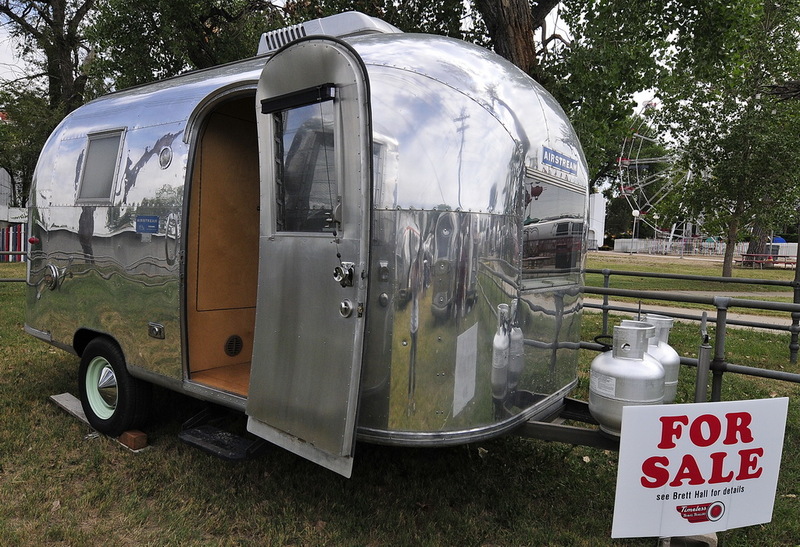 Well, Timeless Travel Trailers and Airstream Life have joined forces to bring us western folks a mac daddy event of our own. 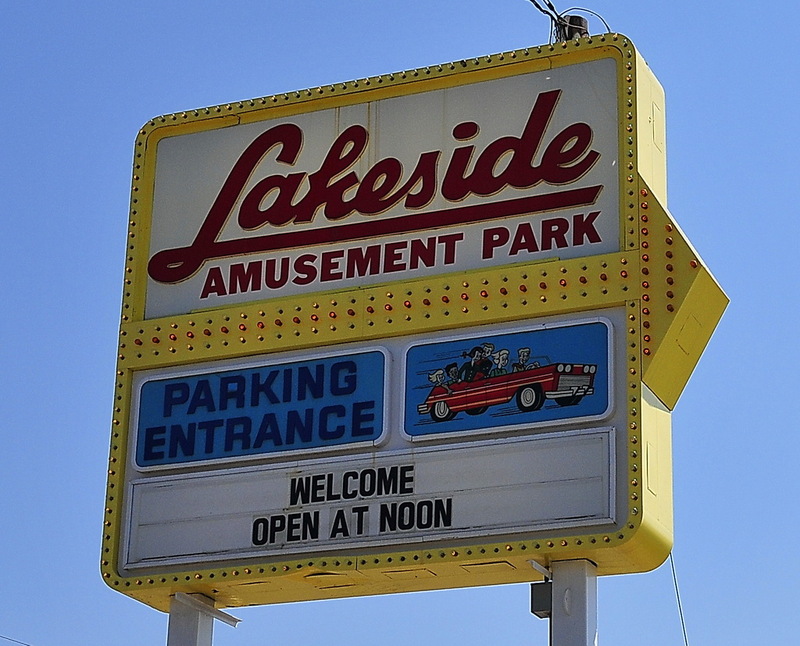 Alumafandango will be hosted at Lakeside Amusement Park in Lakeside, Colorado (right outside of Denver). 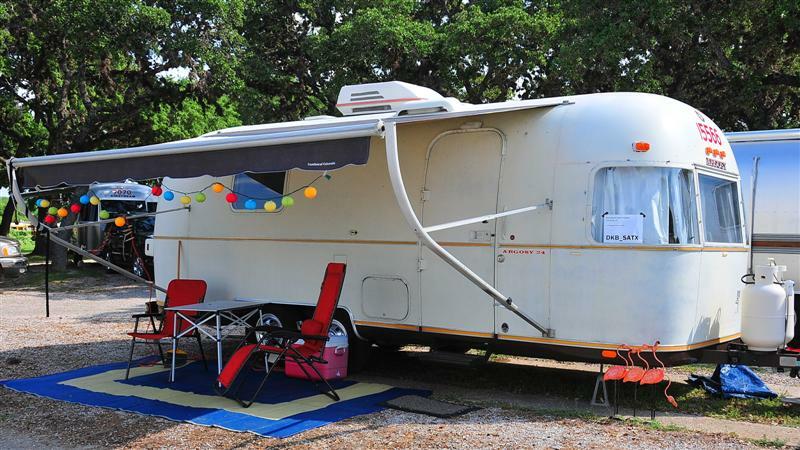 I happen to live very close to Lakeside so Hub’s and I will be joining the festivities and looking forward to meeting new Airstream enthusiasts. 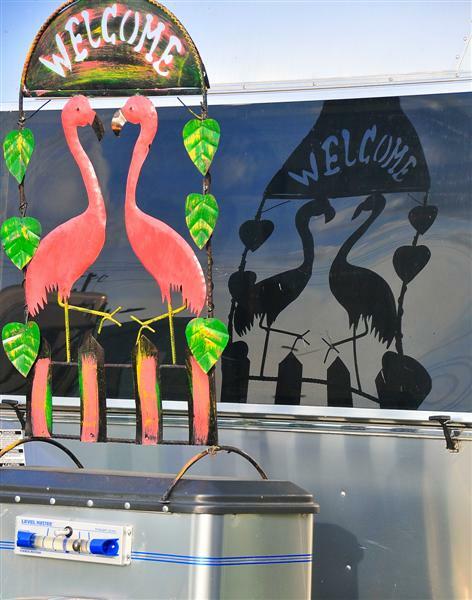 If you haven’t yet booked your site for Alumafandango, you may miss an incredible time! 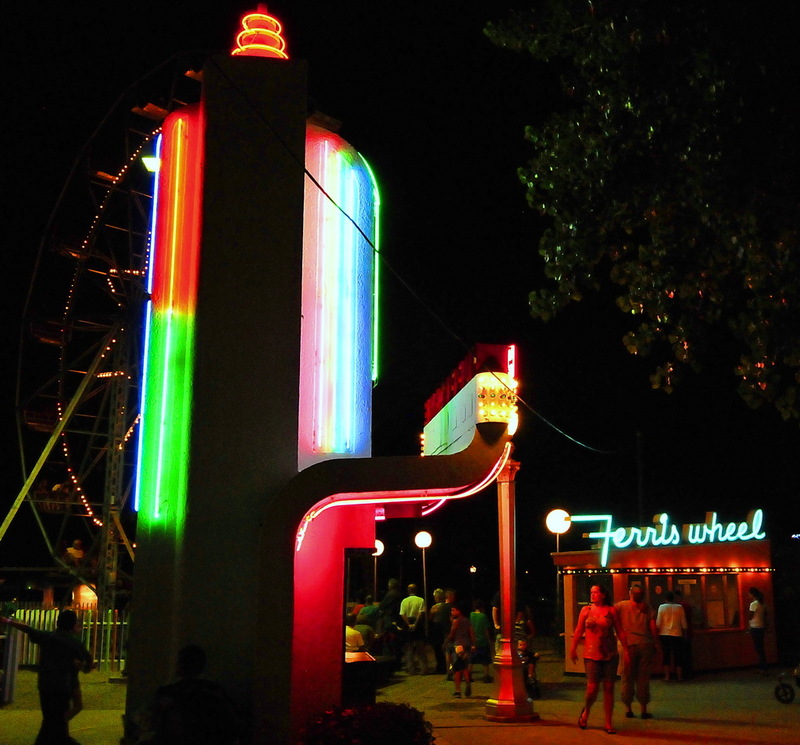 Look at just some of the things we’ve got lined up for you this year! 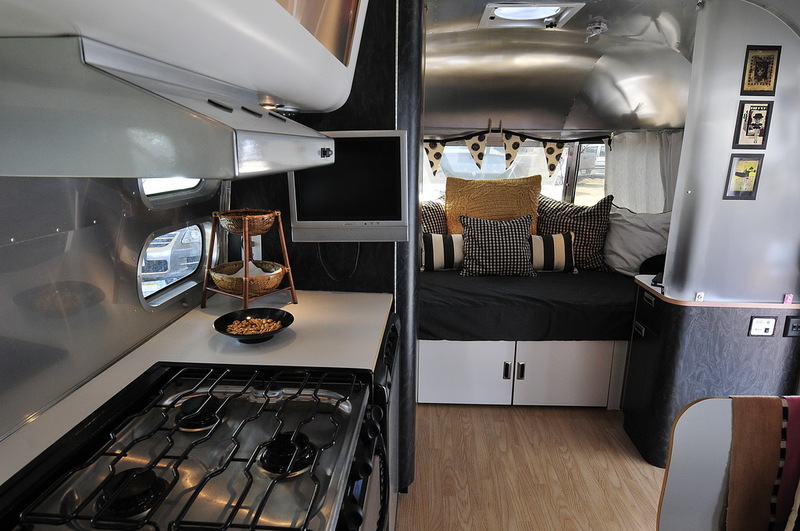 The Amazing Five Day Makeover Watch as the staff of Timeless Travel Trailers makes over the interior of an Airstream right before your eyes! 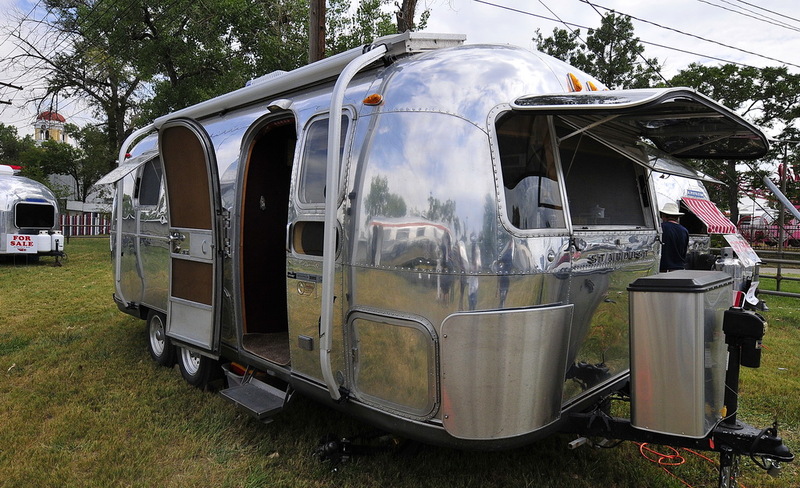 Aluminum Chef This fun cooking contest challenges you to make a dish in your Airstream kitchen with five specific ingredients. Visit our website for the full details including a list of the ingredients you should bring. 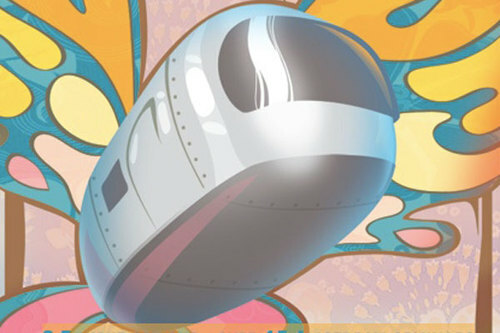 Up to five entrants will be selected to go on to the final “Shootout” competition. Winner takes a prize and runners-up will get awards. 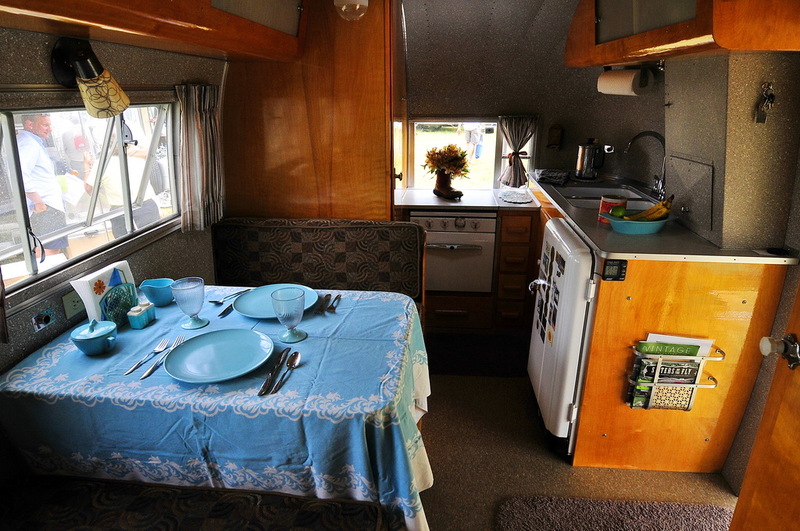 Backup Derby Can you beat our tame racing driver at backing up a 1966 Caravel? 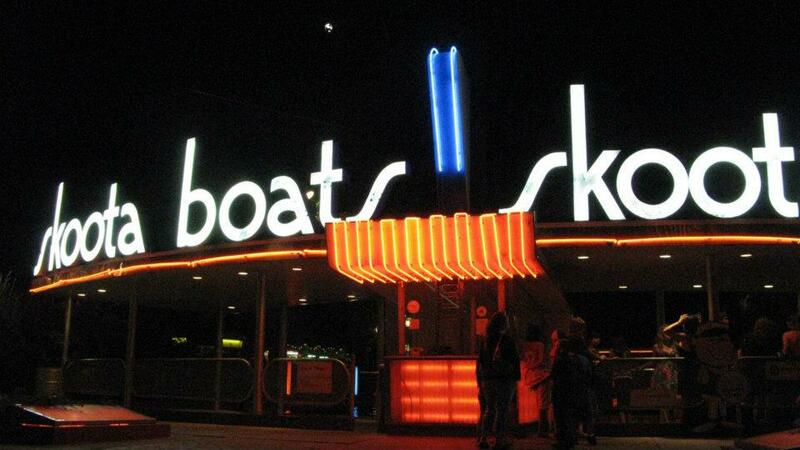 Sign up when you arrive and try to make the best time through our course—backwards! Daily Morning Fitness Join exercise instructor and fitness expert Stevyn Guinip every morning in the Royal Grove Pavilion for an easy and fun program to start your day. She’ll offer simple exercises to maintain posture, balance and strength, for the road ahead. 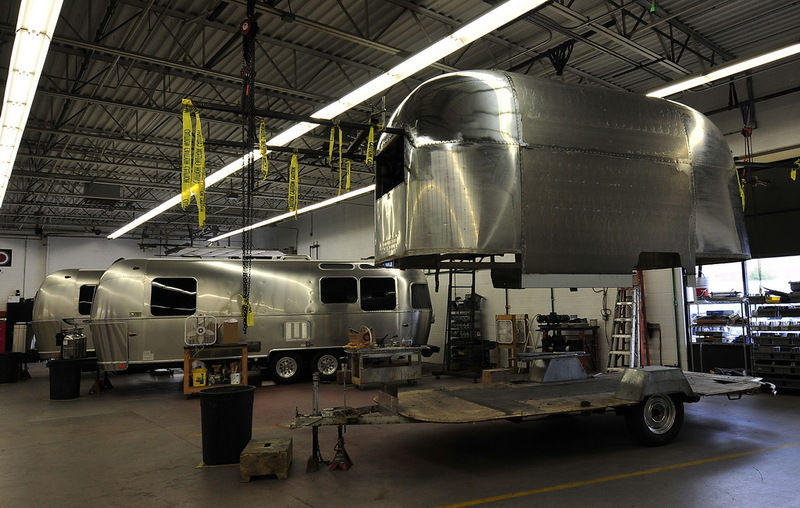 Timeless Travel Trailer workshop tours TTT will be offering tours of their workshop, where Airstreams and other aluminum trailers are customized into one-of-a-kind creations. 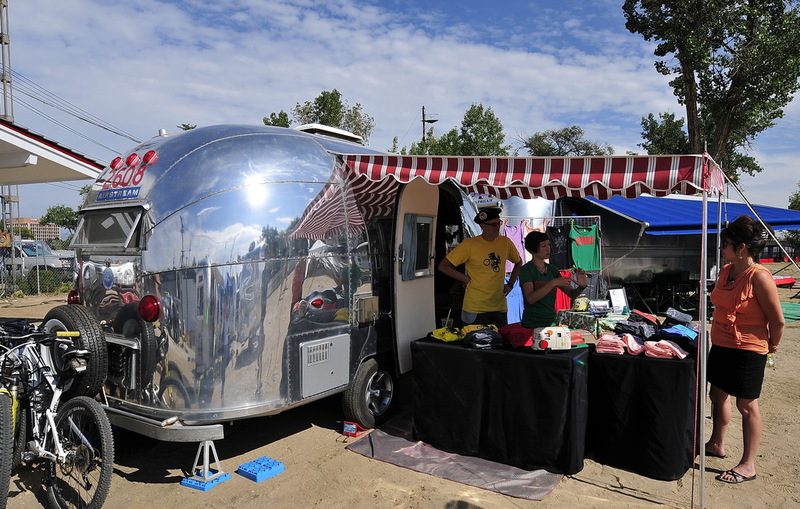 Swap Meet Saturday is the day to sell your old junk, or buy somebody else’s fantastic treasures! Bring what you’ve got. 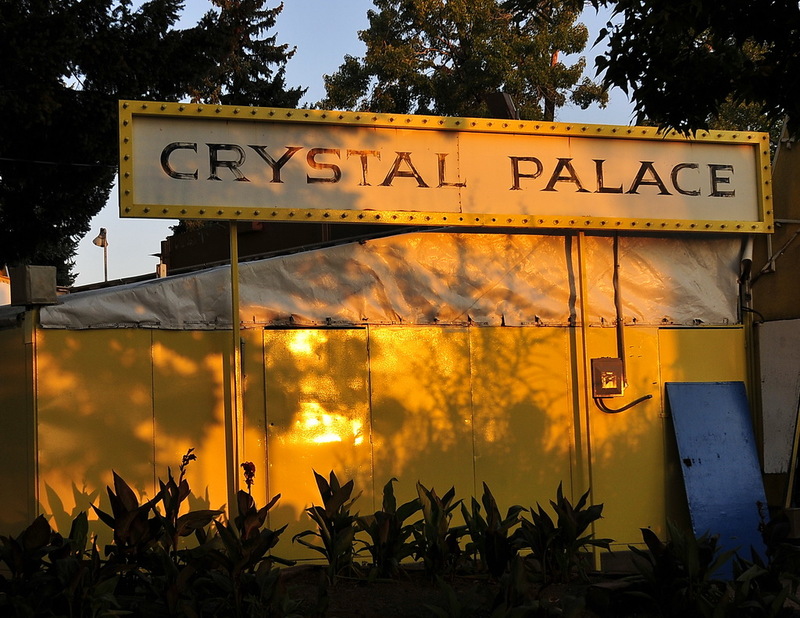 Wally Byam Happy Hour Every day at 4:00 p.m. at the Royal Grove pavilion we’ll announce schedule changes, give away lots of door prizes, answer your questions, and often tell bad jokes. Open Grill This year we’re going to have Open Grill on two nights (Wednesday and Thursday). 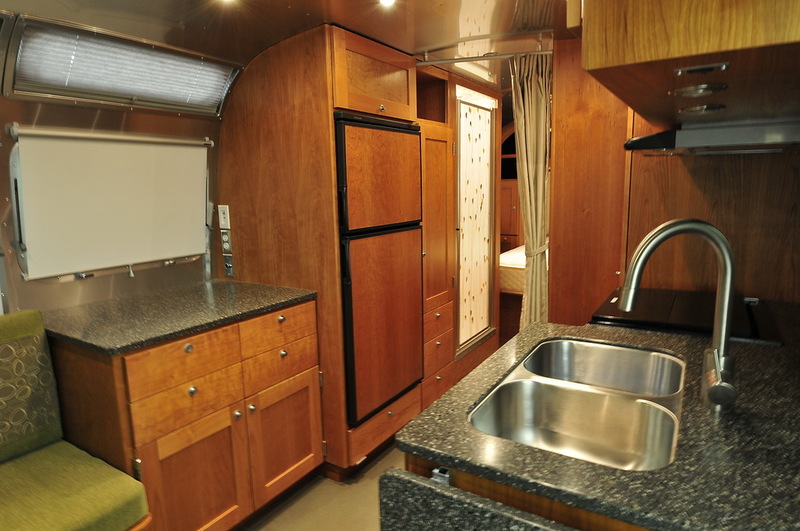 It’s a lot of fun sharing the big grills with your fellow Airstreamers, and sharing the interesting items that people bring to cook. 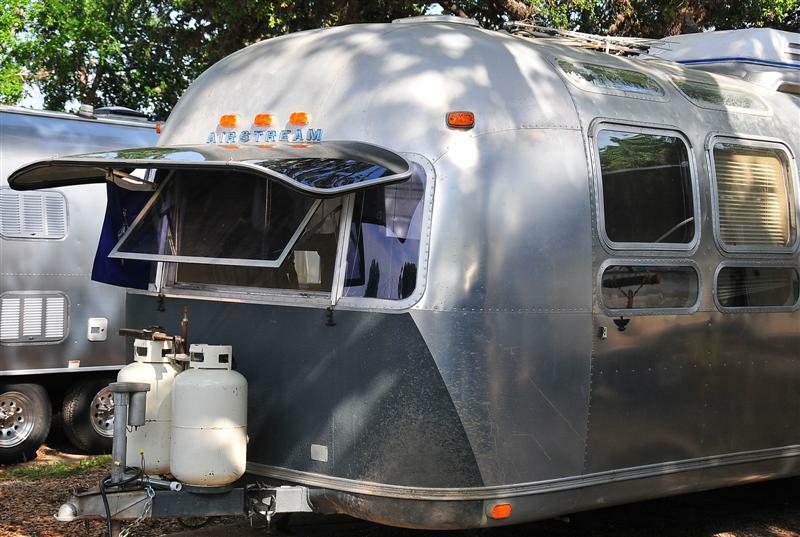 We’ll supply the grills, you bring whatever you want to cook. 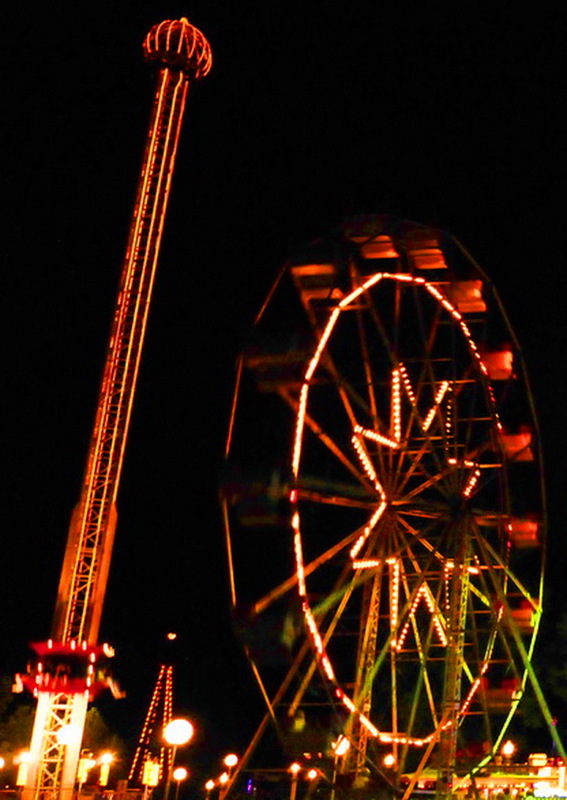 Ride All Night! 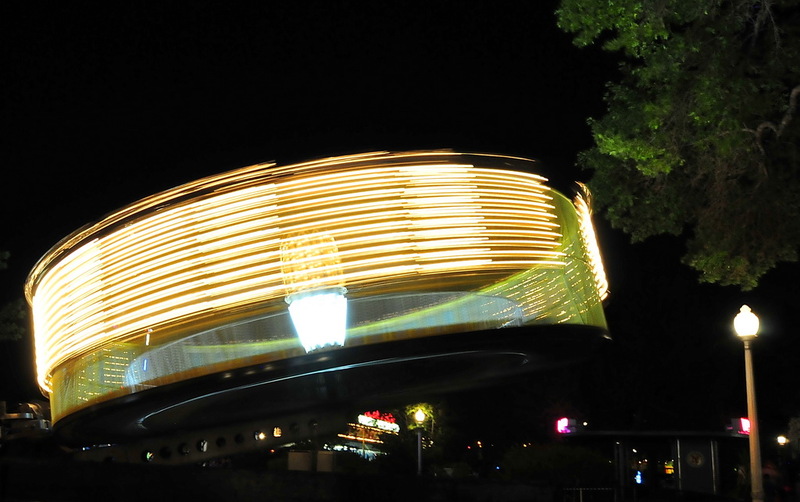 Wear the Lakeside wristband (in your goody bag) and try every ride at the amusement park from 7:00 pm till close! 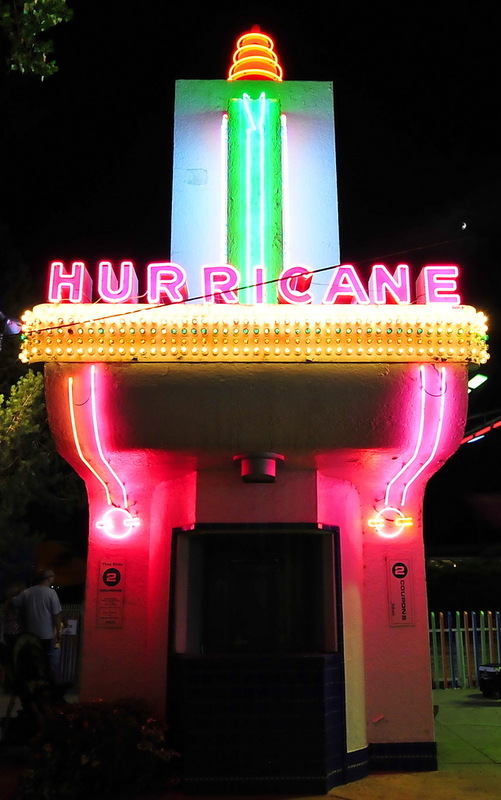 We’ll see you on the Cyclone! 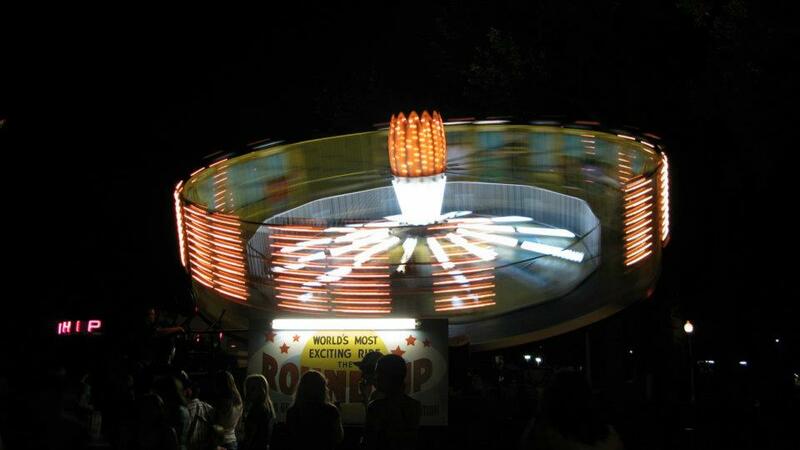 Saturday Night Entertainment This year we’ll have musical entertainment from a local band called “Sweet Corn,” and entertainment by comedy juggler Reid Belstock. 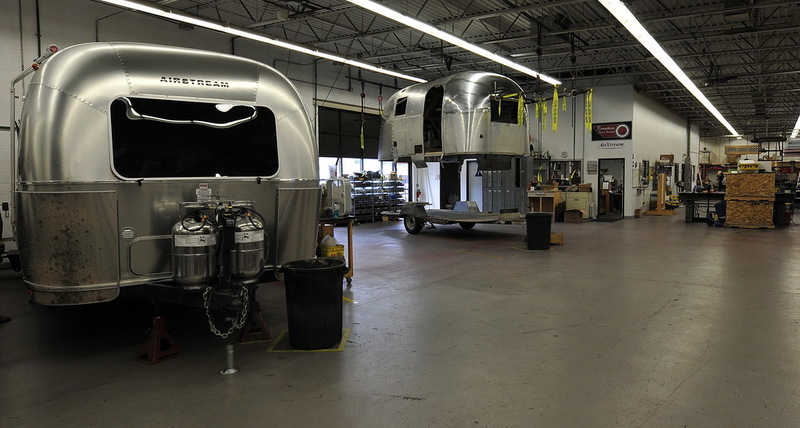 Open House Friday morning will be your chance to show off your trailer, or take a peek inside everyone else’s trailer. 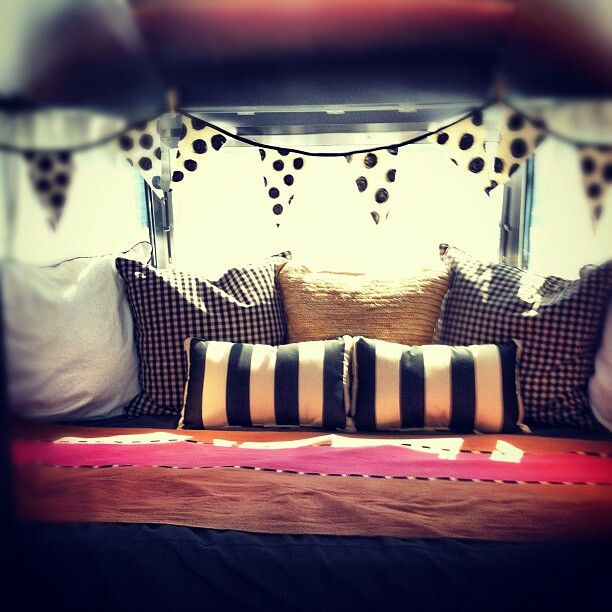 Decorate yours and you might win an award! It’s a great opportunity to meet new friends and (for you newbies) ask questions. 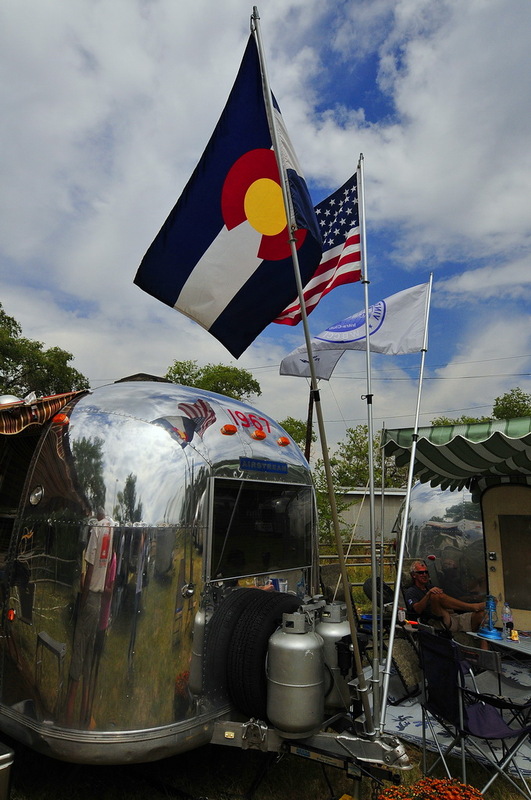 Roving Happy Hour At the Wally Byam Happy Hour on Wednesday, Thursday, and Friday we’ll have five flags to hand out. 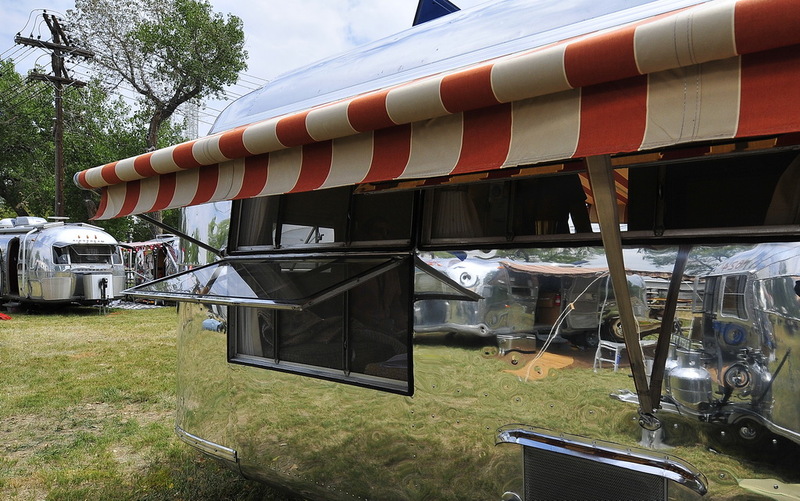 Take a flag and host a public Happy Hour right under your awning! 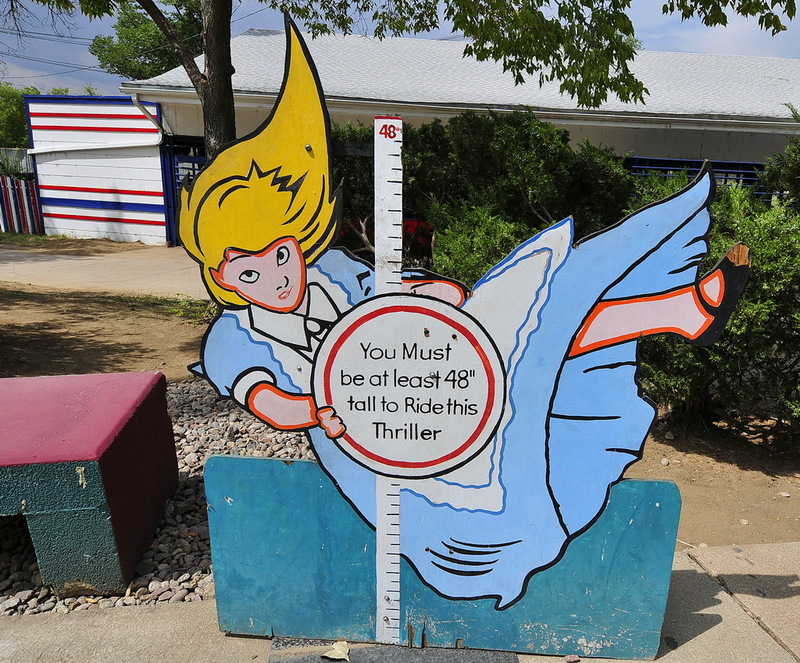 … And that’s not all! 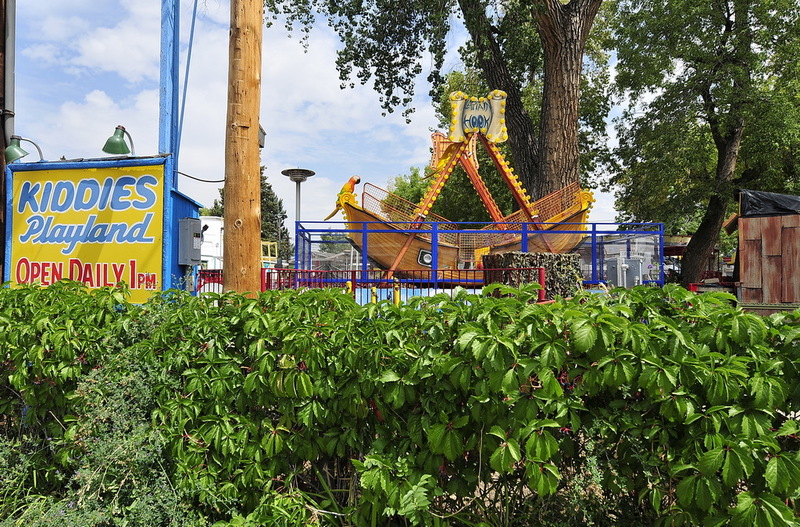 We’ve got a dozen informative seminars, several tours, treasure hunt, geocaching, an ice cream social, musical entertainment, a catered dinner … heck, we’ve even got a Happy Hour just for the dogs. This is a once-a-year opportunity, don’t miss it! And so many more activities are being planned. 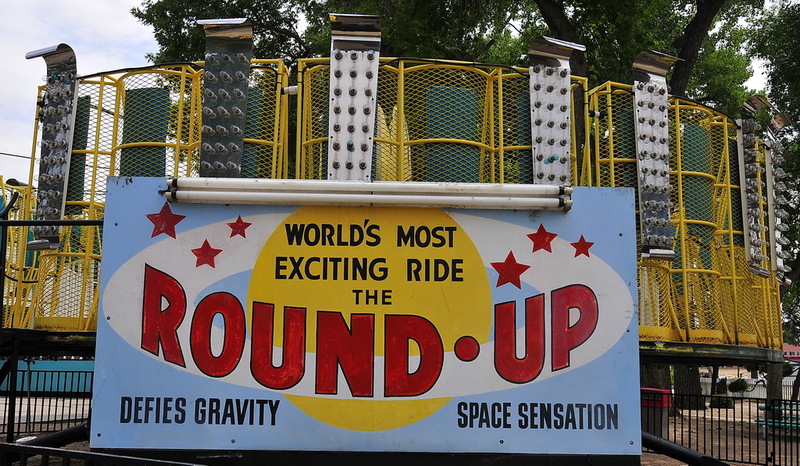 So, if you want to join the fun, sign up and register here. 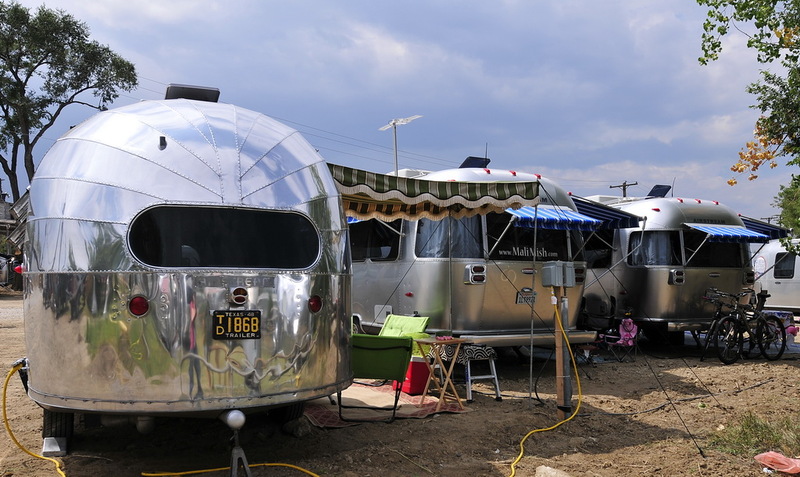 The tentative program includes a whole host of great seminars on blogging, Airstream maintenance, Airstream history, restoration, mobile software tools, cooking, decoration, solar power, and more. Every morning you can start your day right with stretching and cardio exercise programs led by Steyvn Guinip, and every afternoon we’ll have Happy Hour with great door prizes! 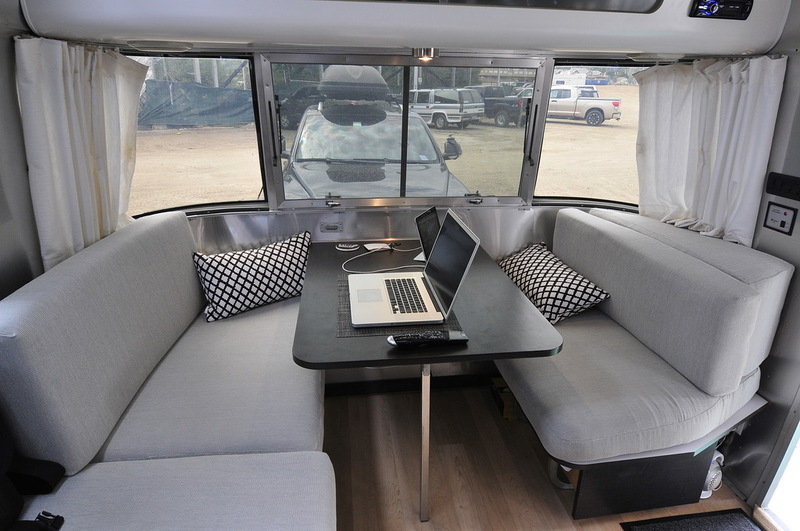 Plus, all day, every day, you can watch the amazing Five Day Trailer Makeover, in which a team from Timeless Travel Trailerscompletely renovates the interior of an Airstream while you watch! 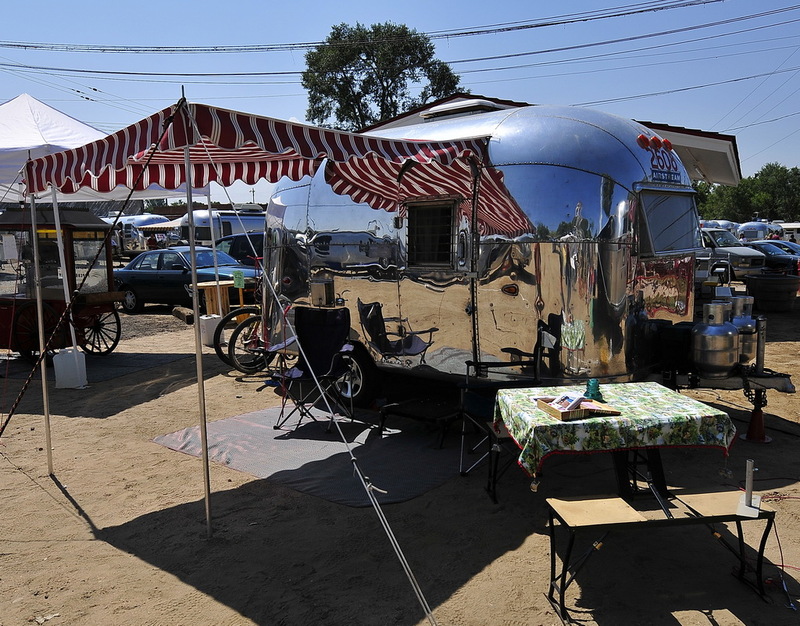 On Saturday we’ll have the comedy juggling of Reid Belstock, followed by musical entertainment by Sweet Corn, and catered dinner, in addition to an Airstream Swap Meet. 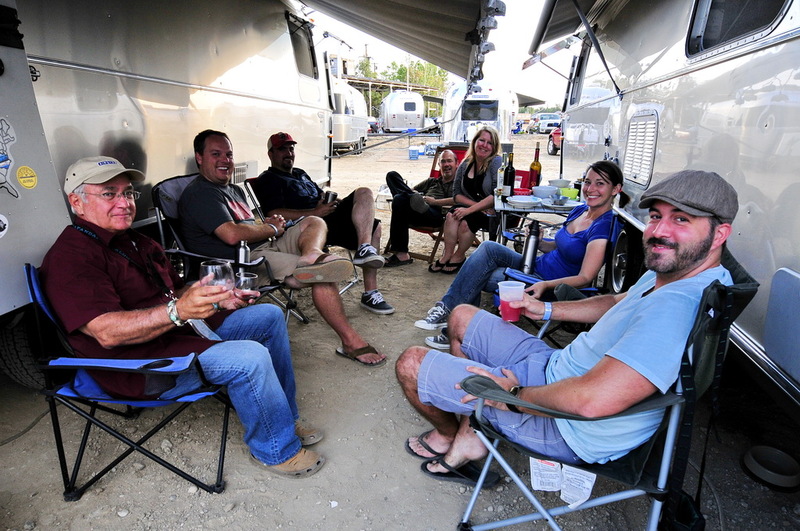 Two other nights we’ll have Open Grill and Roving Happy Hour, where you can meet other Airstreamers and make new friends. 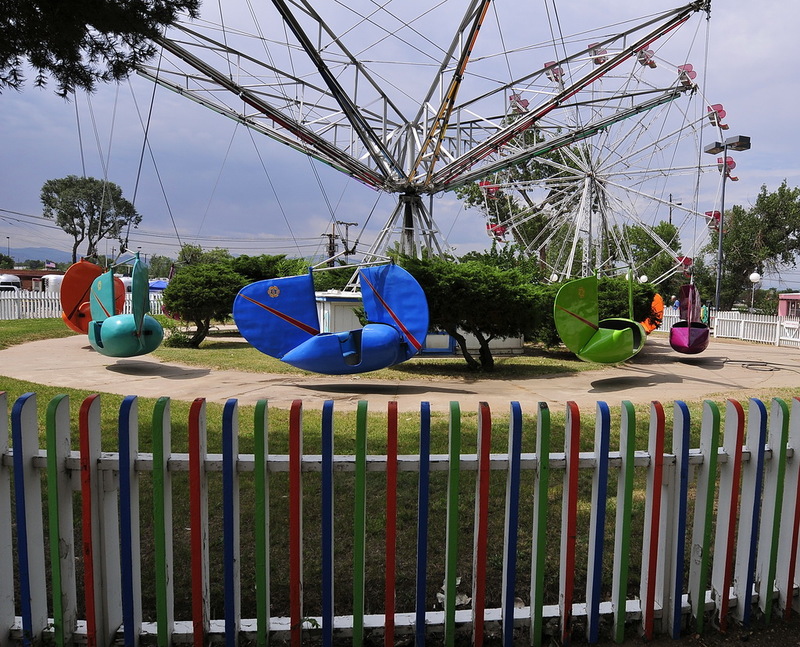 On Friday night we’ll enjoy unlimited rides on all of Lakeside’s classic amusement park rides. 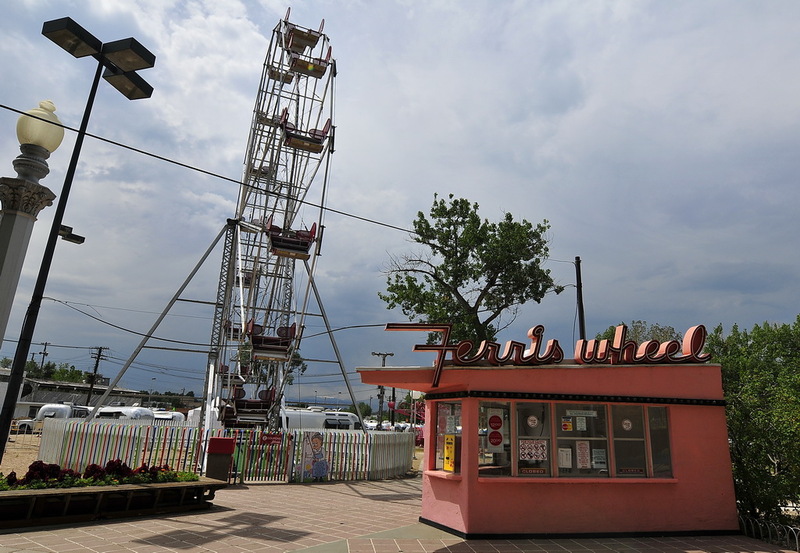 Several days during the week we’ll have free tours of Timeless Travel Trailers‘ famous Airstream customization shop, the Coors brewery in Golden CO, and walking tours of Lakeside Amusement Park’s rich architecture and history. 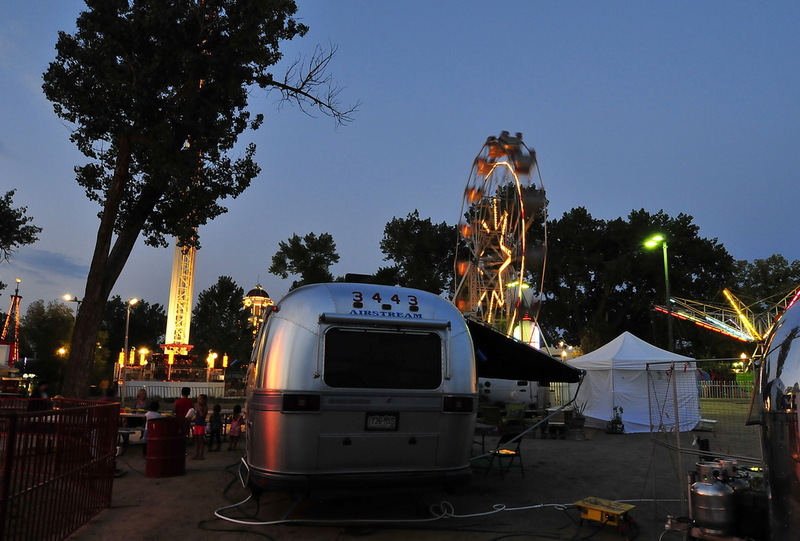 We’ll be camped right on the grounds of Lakeside Amusement Park in Denver CO, and right next to us will be a number of beautifully made-over Airstreams now used for commercial purposes. 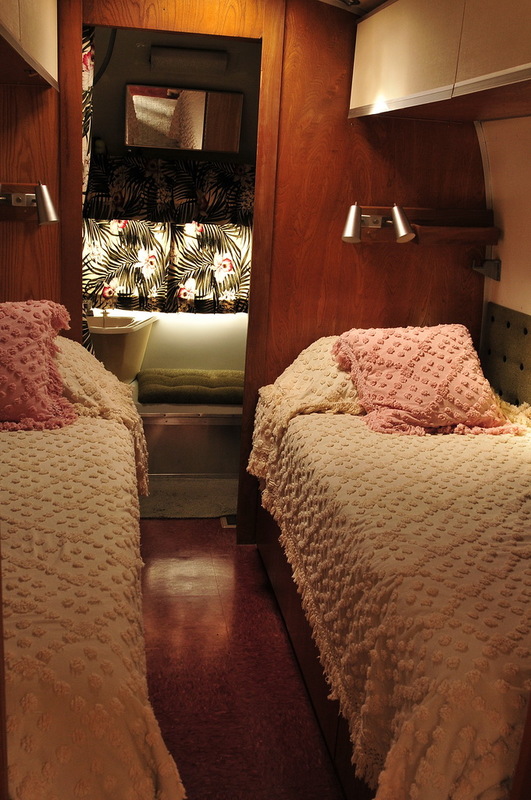 You’ll be able to tour them and in some cases talk to the owners. 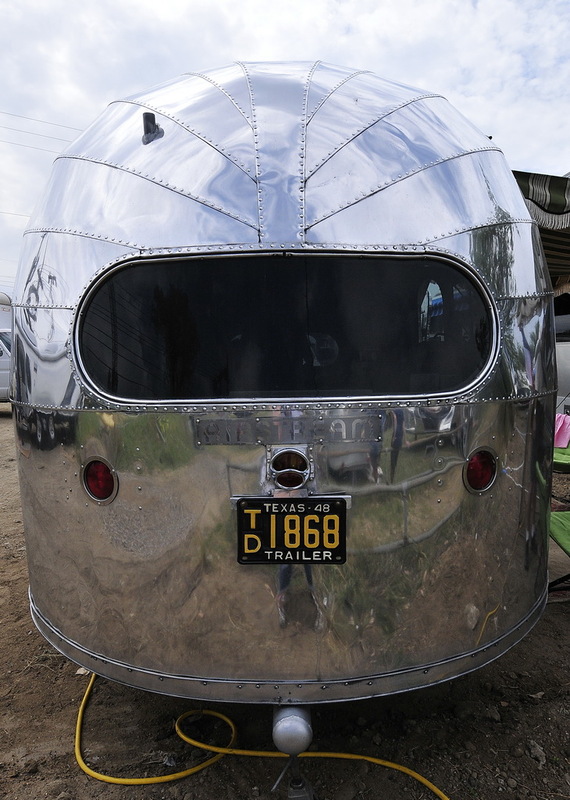 Tentatively we’re expecting trailers from Straight Down, Votre Vu, Hi-Chew Candy, Dusty Dog Studios, two personal trailers made by Timeless, and a coffee trailer. 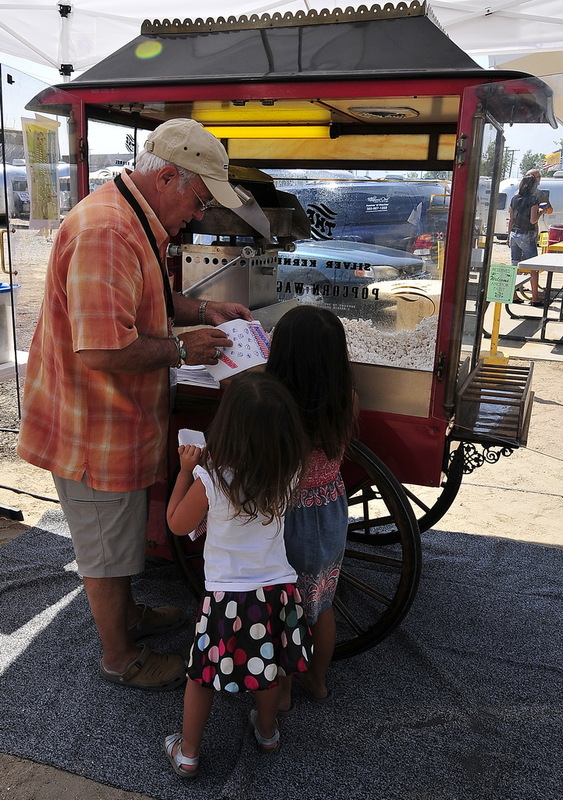 Also in the showcase area we’ll have free snow cones to beat the heat! 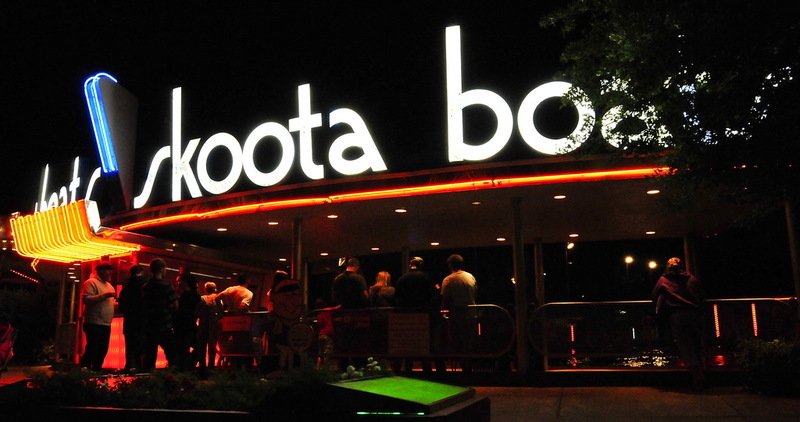 Up for a culinary challenge? 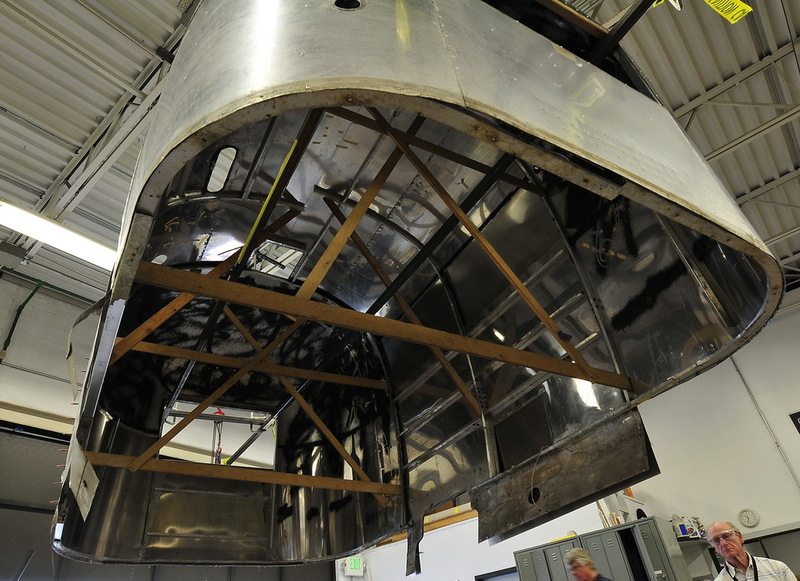 Check out our Aluminum Chef competition! 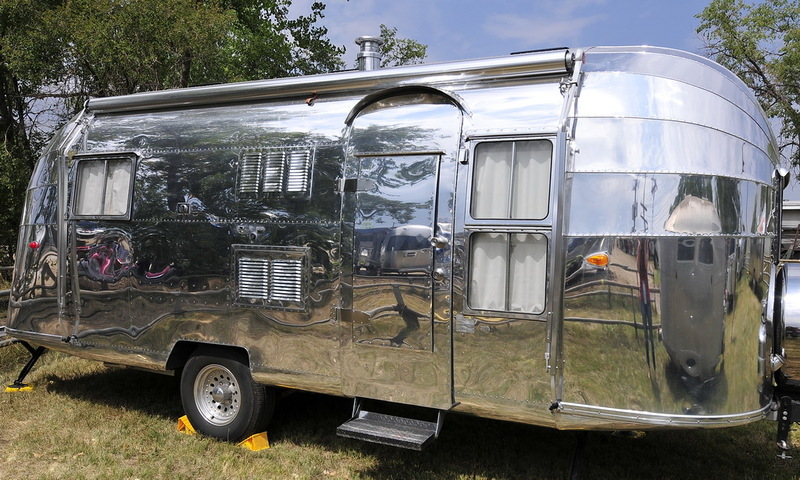 Make a dish in your Airstream with five ingredients that we specify, and you could be chosen to move on to the Aluminum Chef Shootout! 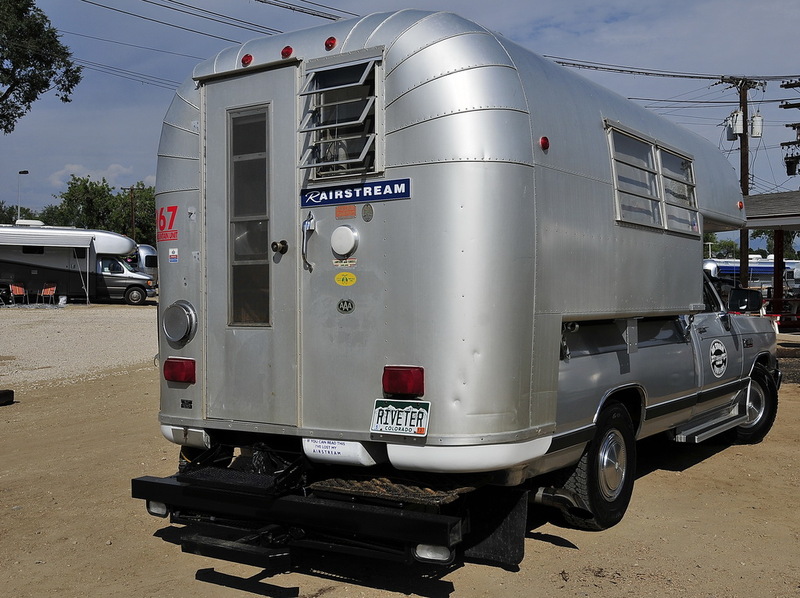 Or, try to set your best time backing up a trailer on our course, in the popular Backup Derby. 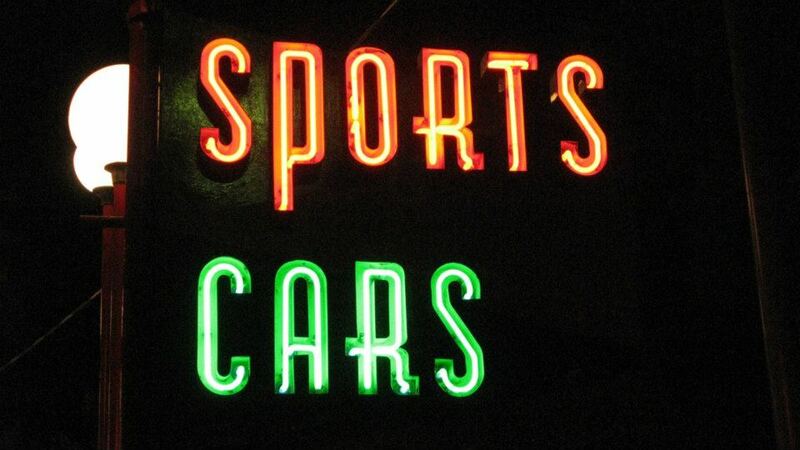 Either way, there’s big prizes and lots of fun! 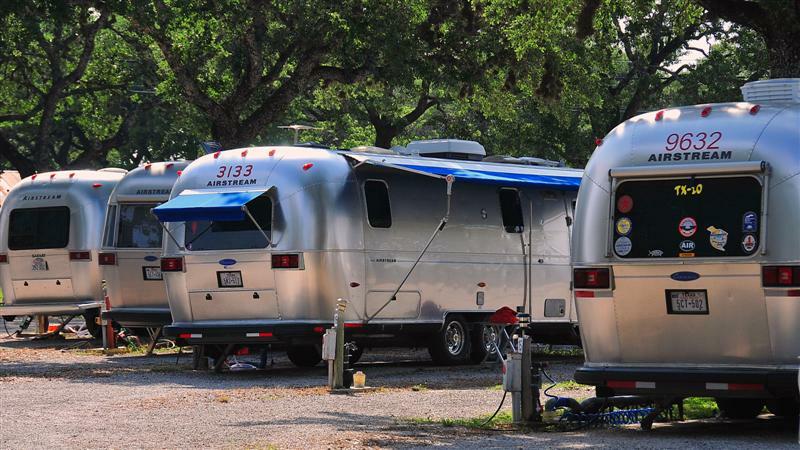 I was thrilled to learn that an Airstream Rally was taking place in Johnson City, Texas which is about 30 minutes outside of Fredericksburg, where we were staying for Easter weekend. 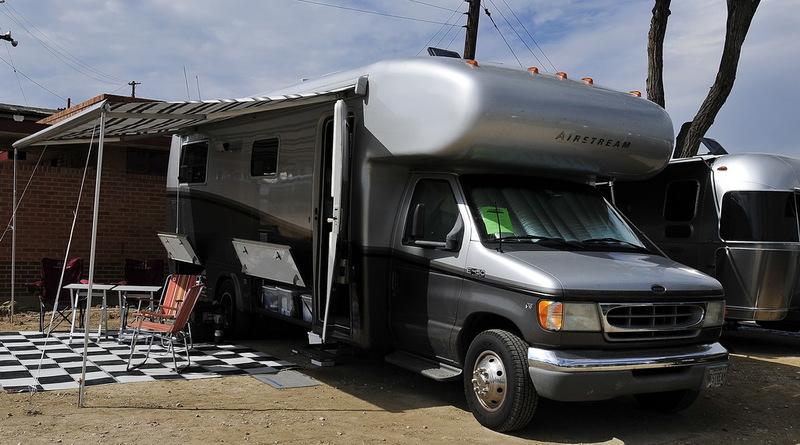 I logged onto the Airforums and introduced myself to the Rally leader and told him that we would be interested in stopping by for a quick hello. This was our first Rally that we had ever attended. 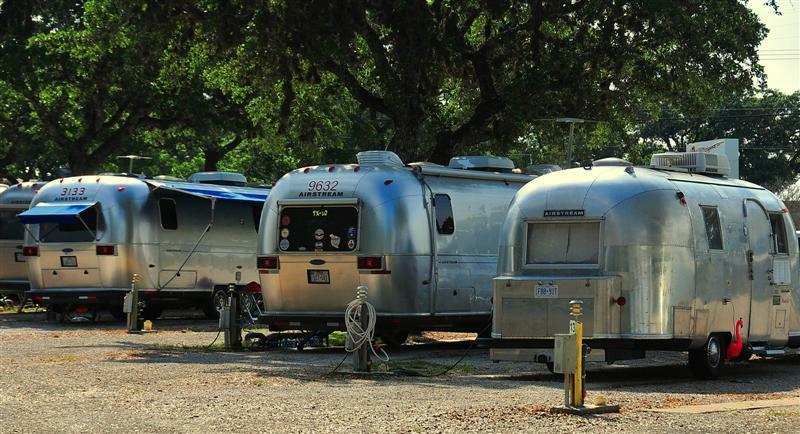 We showed up at the Roadrunner RV Park and to my delight we saw so many shiny, aluminum Airstreams! I was in ‘Streaming Heaven. 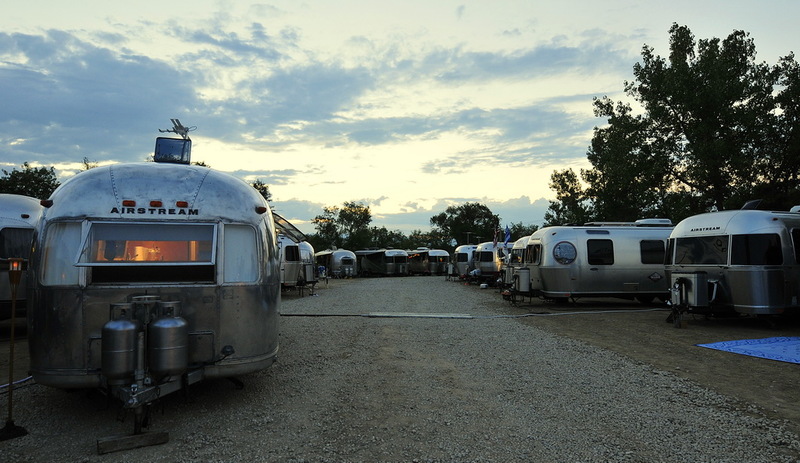 Our host, Bruce W. took us under his wing, introduced us to so many folks and gave us tours of as many Airstreams that we could fit into one afternoon. 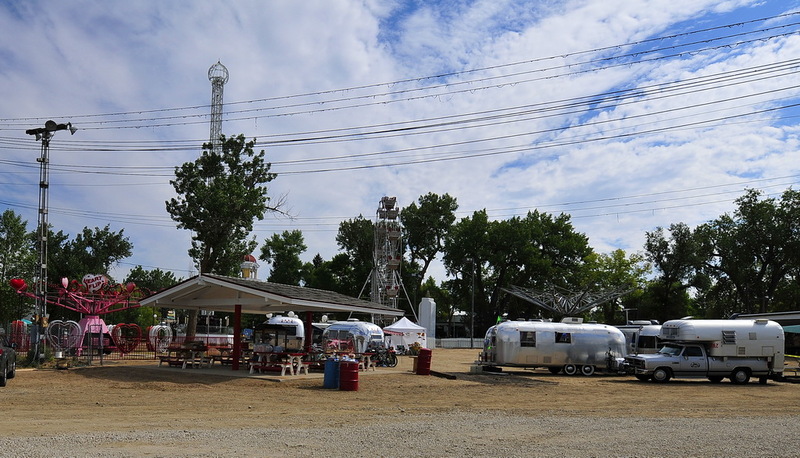 A big thanks goes out to Bruce, Roseann, Harvey, Harvey’s Mom, Joi, George, Bonnie, Sid, David, David, Red and the rest of the Rally gang for all the questions you all answered for us and allowing us to tour your trailer homes! 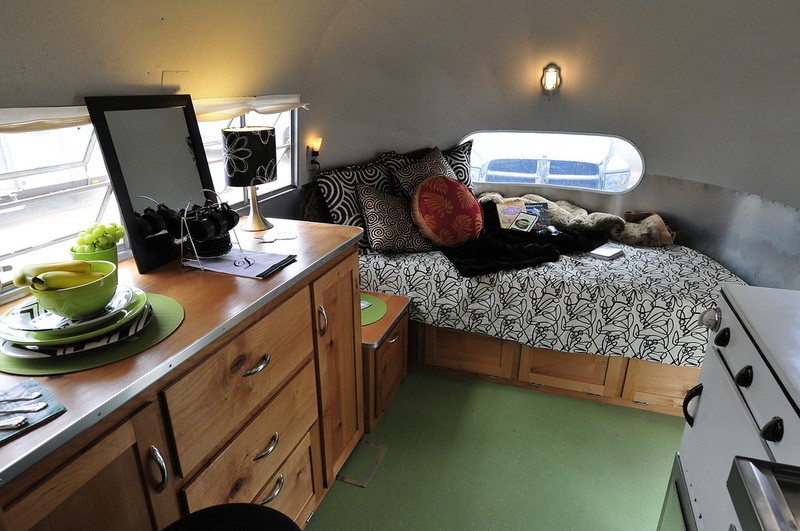 What an Airstream treat!! 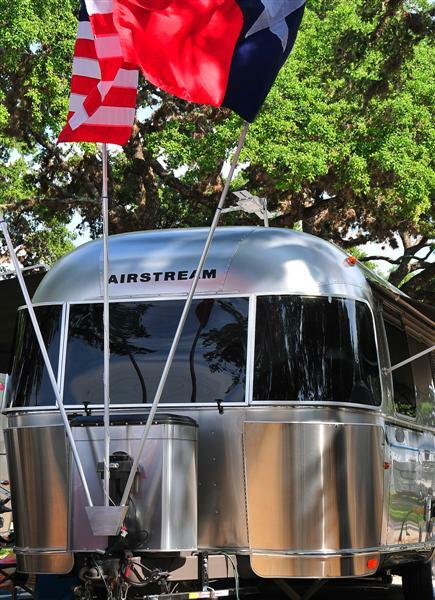 An Airstream Rally is an event one must not miss. 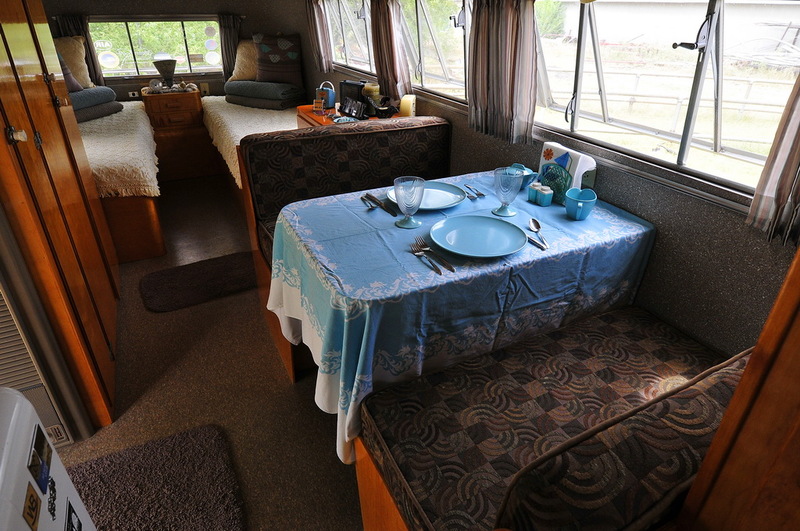 It’s a great time to meet new friends, catch up with old friends, cook together, drink together, play games, tour each others trailers and just have a relaxing time. 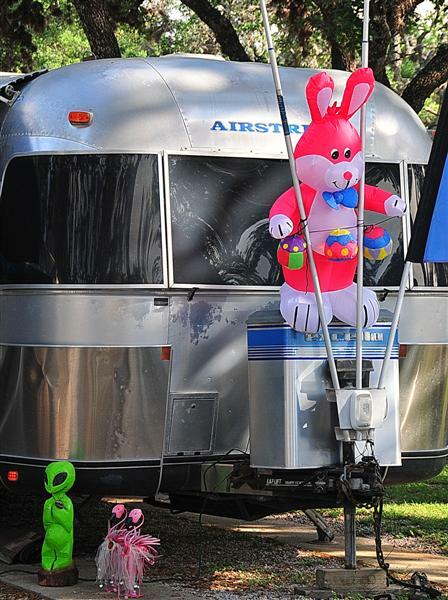 At this Rally, Bruce and his team put together a weekend filled with BBQ’s, Egg Toss Event, Egg Rolling Event, Easter Bonnet decorating competition, dinners, lunches and so much more. Fun was had by all including the resident ‘Streaming pooches that accompanied their parents to the Rally. 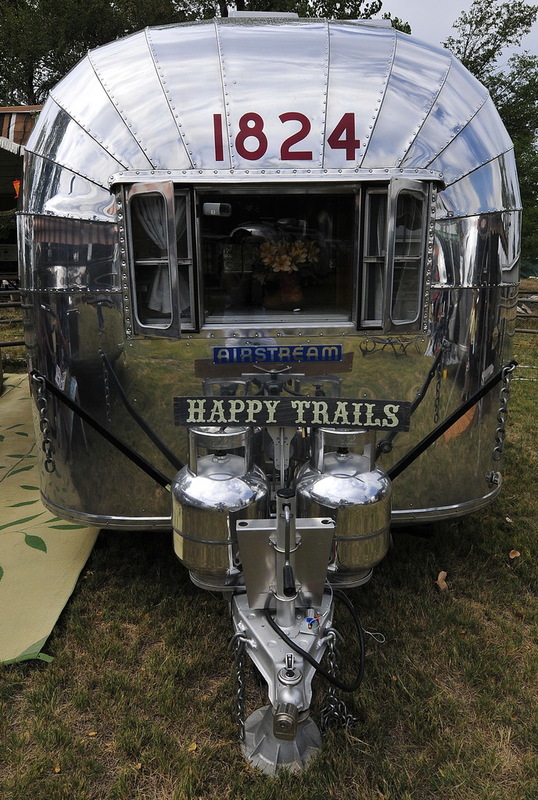 Looking forward to more Rallies in our future and can’t wait to attend one with our Airstream!